The human resource department in any organisation plays a crucial role in managing their employees and their management. It caters to large set of activities in simultaneous mode and for this reason, the functioning of HR department is not easy. HR Department has to go through several challenges and various measures to make the company self-sufficient, robust and independent in bringing more profit and revenue. From managing the employees to handling the risk management of the company, it is the responsibility of human resource department to look after. Getting all the HR activities done in the offline fashion requires lot of time and this will lead to stress, work pressure and error. On the other hand, implementation of an HR software comes with great help. With its vast features the Open HRMS software can provide proper backup for the functioning of the HR department. 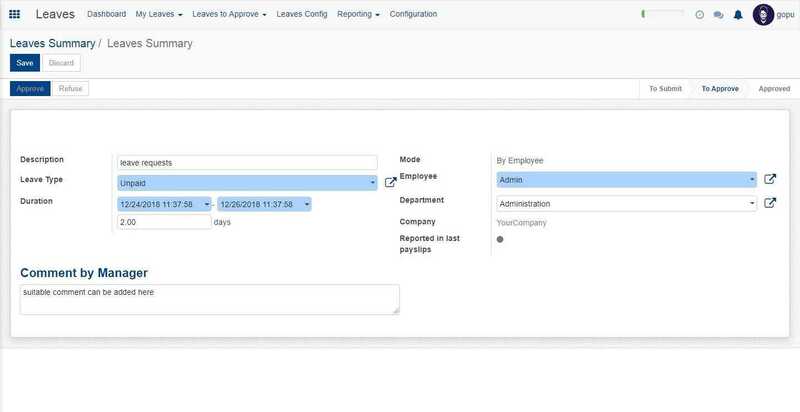 The Open HRMS software automates every process happening in the HR department, reducing the workload of HR department, and boosting their productivity. Also all the data about the organisation are digitally stored when the Open HRMS software comes in to work. The longevity of an organization solely depend on the healthy and strong relationship between the employees and their management. It doesn’t matter how big or small the organization is, it is the mutual concern and trust that binds together the employee and organization, ultimately underlining the growth and expansion of business. To create a trusty and strong bond, often a third party is necessitated with. 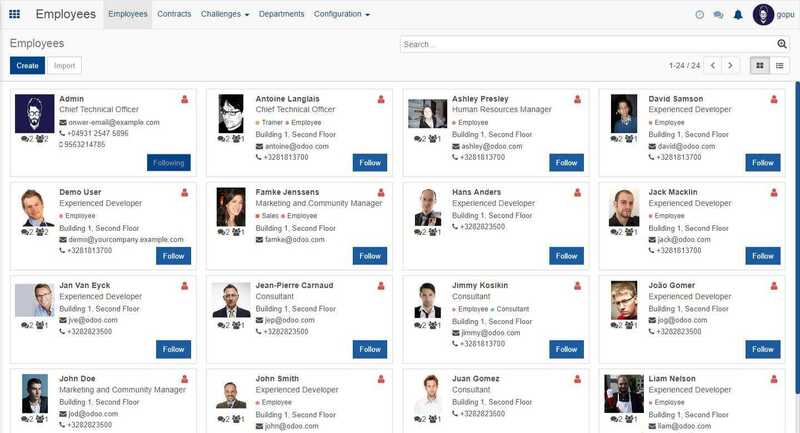 A human resource management software like Open HRMS Software can act as the third party, bridging the gap between organisation and its employees. You might be thinking how? Yes, Open HRMS software can help in streamlining the entire communication and functions within the business like managing the employee payslips, disseminating company’s updated policies, handling employee job applications, handling the perks and benefits and more. Open HRMS software make sure that no space for confusions or human errors is left behind. The role of HR in any business is integral. It acts as catalyst in boosting employee productivity. The welfare of the employees, their work management and engagement, thereby growth of an organisation, is the ultimate objective of any HR department. The way the HR department functions is very complex, it revolves around lot of challenges and pitfalls. An Open HRMS software can act as a wizard tool to overcome these challenges and maximize the business productivity. This manual is all about the functioning of Open HRMS software, the manual guidelines you through the various applications which are present in Open HRMS and helps you to easily understand the working of Open HRMS software. We have tried to explain each applications based on their working with screenshots so as to make things simpler for the readers. Hope this will be a helpful guide to all the users of Open HRMS. The Open HRMS announcement is used to do the announcement activities. Upcoming celebrations, off days, special events etc. can be announced using the announcement app. Here in the screenshot you can see the various events marked, their code number, title and their status. If you want to create a new announcement just click on the create button. Then a window like this will appear, now you have to fill in all the necessary areas. Once done click the send for approval option. Now here there are approve and refusal options which the authorised person can decide. Once approved click on the save button and the announcement will be saved. The Open HRMS appraisal application is used for the evaluation of employees and to understand their abilities for growth and development of the company. 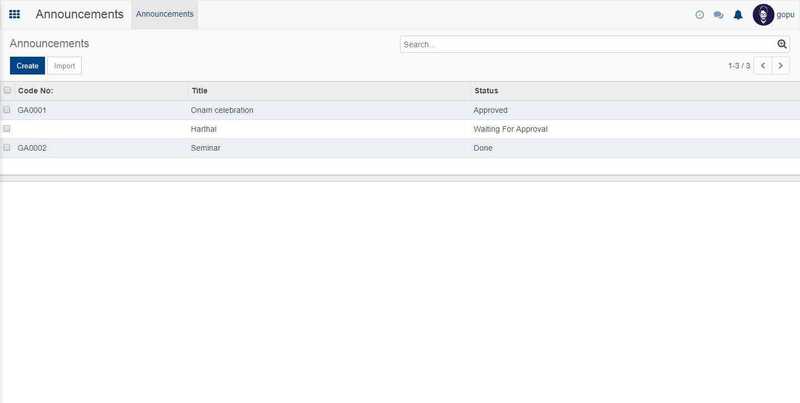 Here as you can see in the screenshot, the various appraisals given to the employees is shown along with the status and deadline of the appraisal. Now to create a new appraisal, click on the create button. In the window that appears fill in the necessary areas such as employee name, appraisal deadline, appraisal reviewer etc. Once done you can click on start appraisal and send forms option. Mention the final interview date in there and click on save button to save the appraisal. You also have the option to edit your appraisal later. 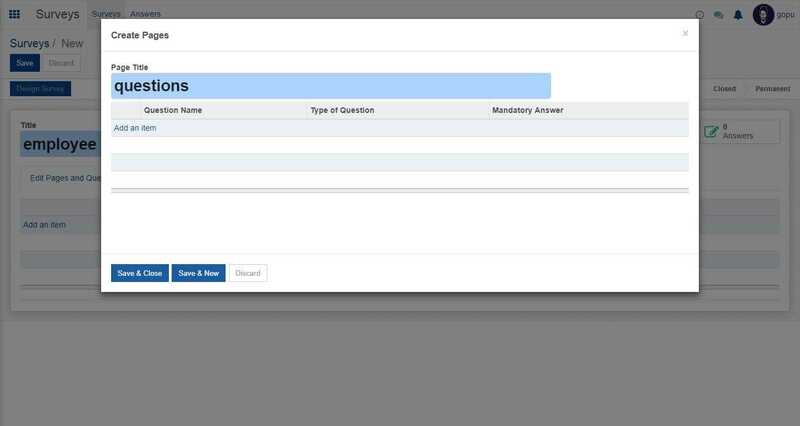 In the answers section you can view the answers given to the appraisals. Here you will get to know details like creation date of the appraisal, deadline of the appraisal, answer type and finally the status. 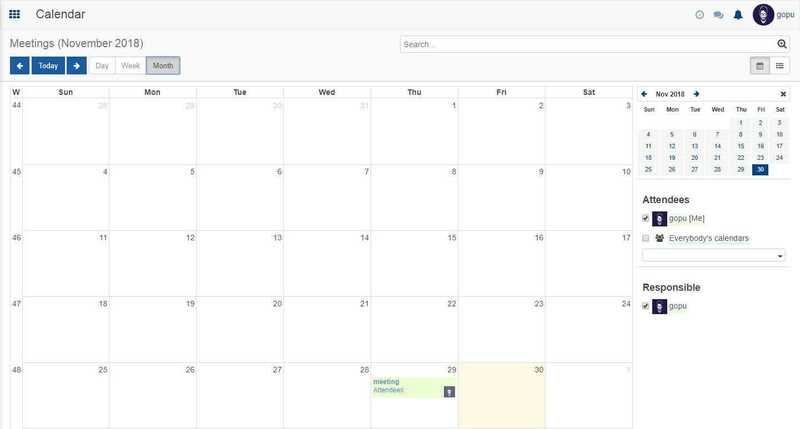 The calendar app in Open HRMS is an all in all calendar application. It allows to have a detailed in hand calendar which can be of great usage. Basically the calendar can be chosen in three views, day view, week view and month view. All three views can be accessed from the same window. 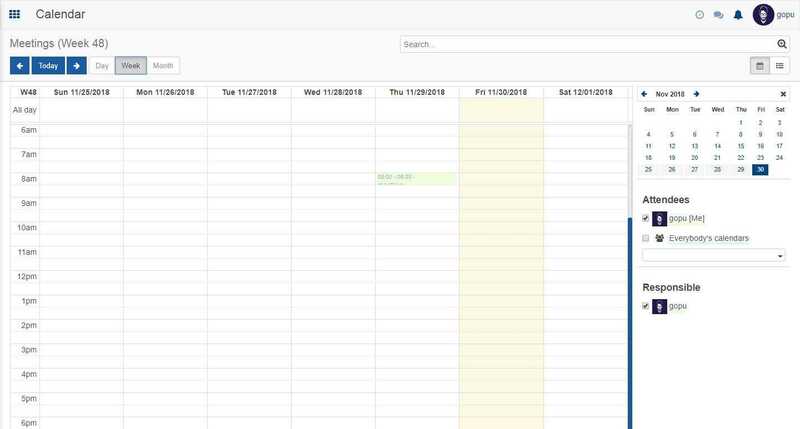 The screenshot indicate the daily view of Open HRMS calendar, here we have the option to add meetings of the day on specific time intervals. 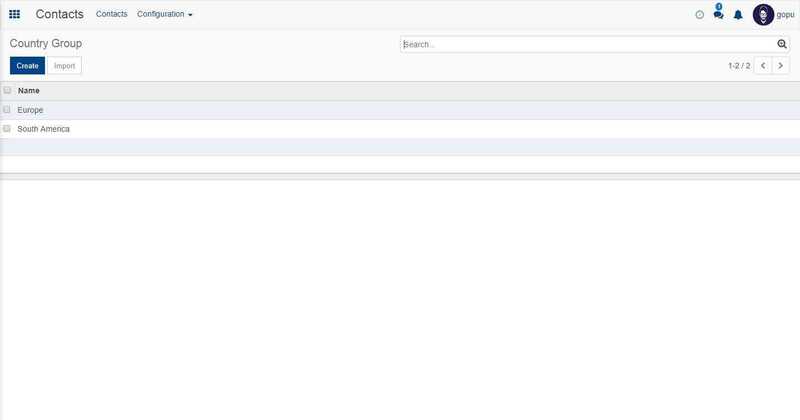 Then a window like this will appear, here on the summary part add your meeting subject, then click on the create button. Then the event will be added. Here you can add various details like the meeting subject, attendees, starting time of the meeting, duration, location etc. Also you can put tags and set reminders also. Additionally if you want to add any description, there is provision for that also. After all of this we can click on save to save the event. As you can see in the screenshot the event is added. The event which we have added in the daily view will be shown in weekly and monthly views also, with that same date. If you notice the screenshots the event we have added in the daily view is seen in weekly as well as monthly view. The events can be added in weekly and monthly views also, the process is same as described for the daily view. 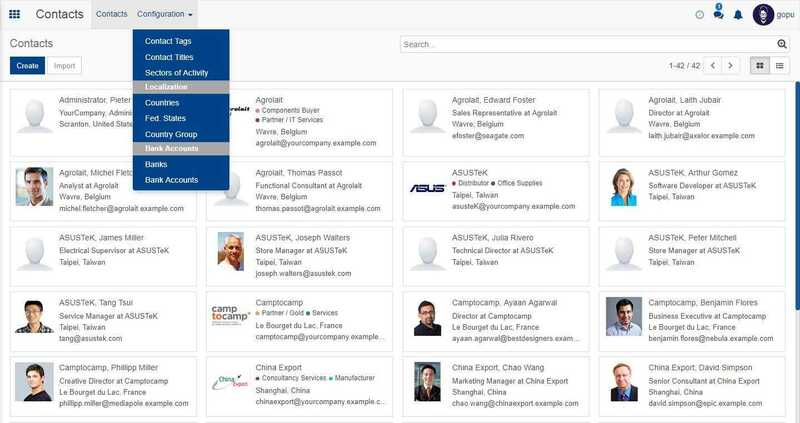 The Open HRMS contacts gives all the information regarding the various contacts in connection with your company. 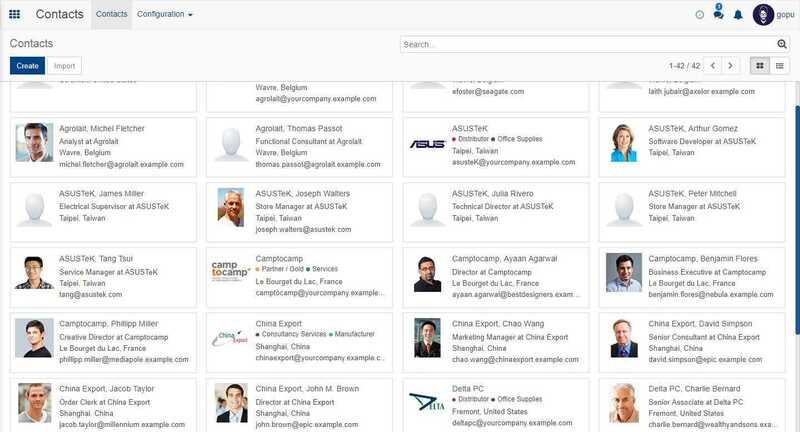 Now in the screenshot you can see various contacts in connection with the company, if you click on a particular contact that will be opened. Here when we clicked Michel fletcher, his contact is opened. We can get various information about him like contact and address, internal notes, sales and purchase and invoicing from here. If there are any changes happening in the contact we have option to edit it too. After editing if we click on save the changes will be saved. 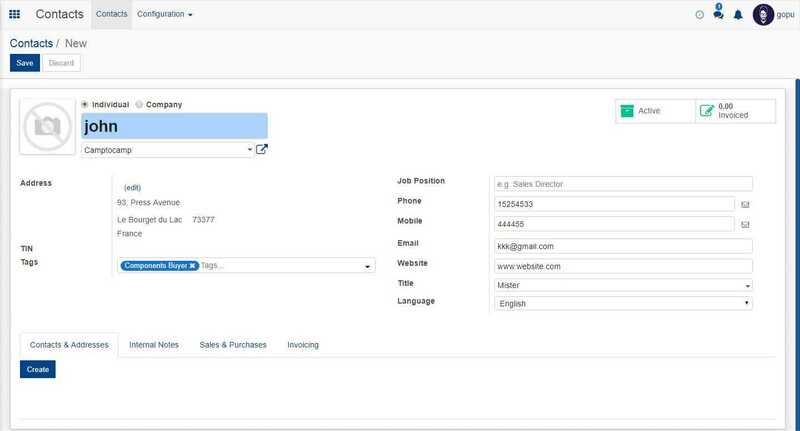 If you want to create a new contact, just click on create button on the contacts page. Then a window like this will appear, fill in all the necessary information and click on save. Then the contact will be saved. 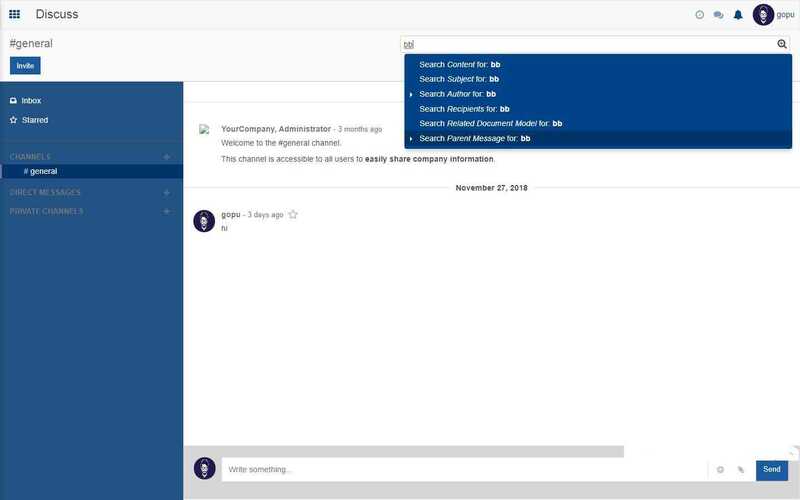 You have the option to add new contact as an individual or a company.Then a window like this will appear, fill in all the necessary information and click on save. Then the contact will be saved. 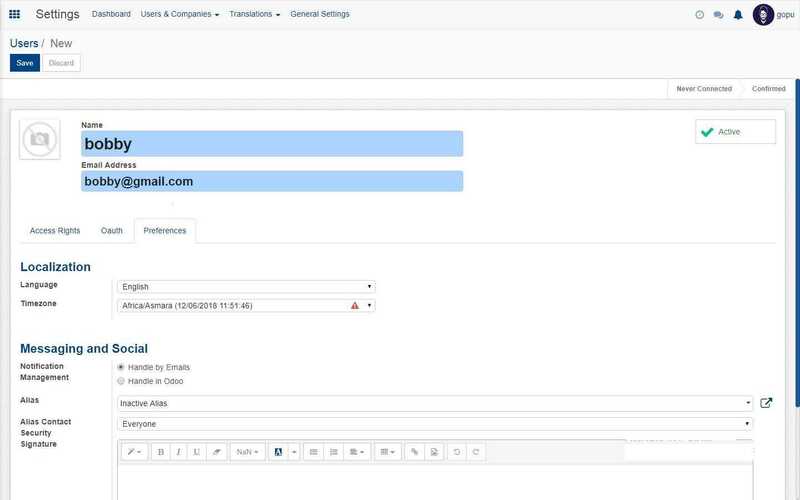 You have the option to add new contact as an individual or a company. 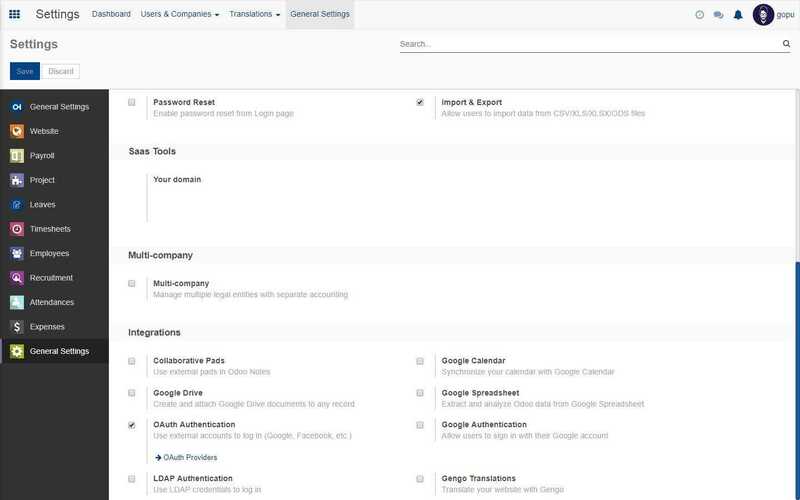 Now if we click on configuration we will see options like contact tags, contact titles, sectors of activity and under localization we have countries, Fed states and country group and under bank accounts we have banks and bank accounts. Give a suitable tag name and select a parent category and click on save, then the contact tag will be saved. Here too we have the option to create new contact title. For that just click on create button. Now we can provide a suitable contact title and an abbreviation for it and then click on save to save it. Give the name and full name and click on save and the industry will be saved. Now if we select the countries option we will get to see the various countries under our contact, if we want to add a new country just click on create. 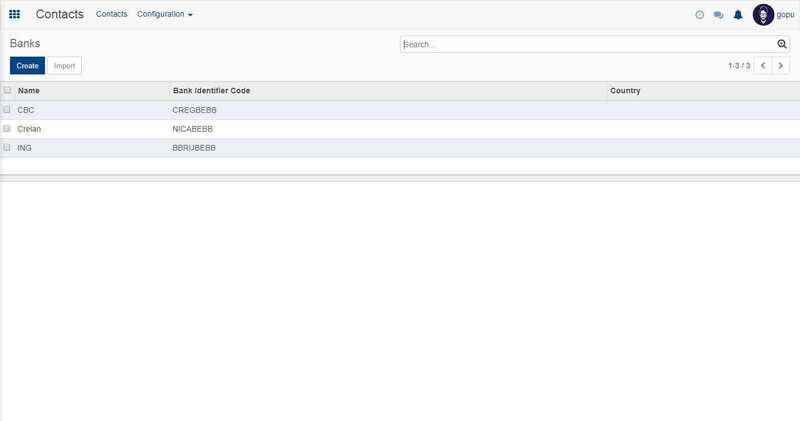 While creating new country we have to add country name, country code, currency and VAT information. The federal states under our contact list can be viewed if we press the federal state option. Now if we click create we can create a new federal state, we have to mention the state name, state code and country name there. If we click on create we can add a new country group. 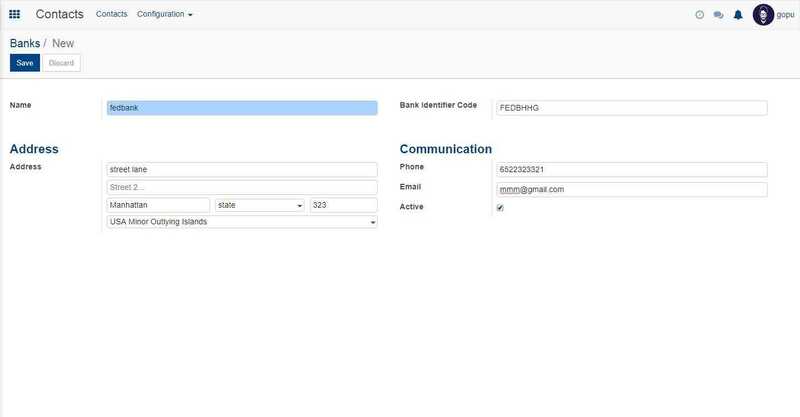 The banks option in the configuration gives details about various banks in our contact list. Fill in the necessary details and press save to create a new bank. Fill in the necessary details and click on save. 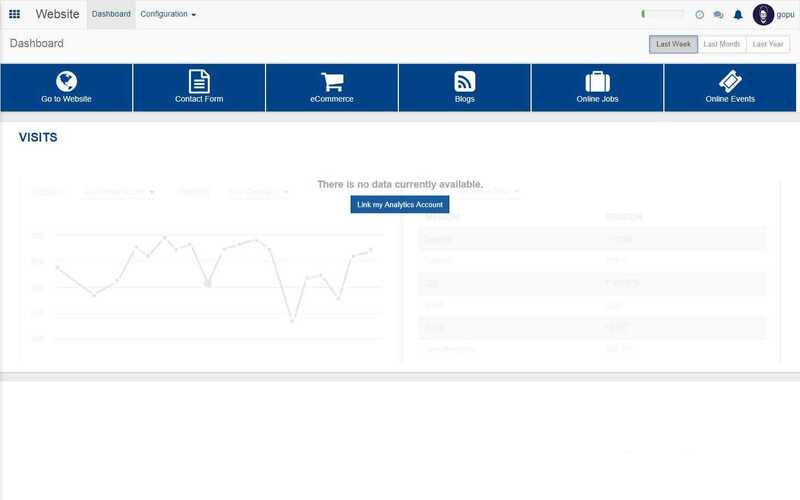 All the vital information regarding a company is available from Open HRMS dashboard. Important details like payslips generated, running contracts, timesheets and broad factor are accessible from here with just one click. As you see in the screenshot you get a comprehensive view of all the vital information. 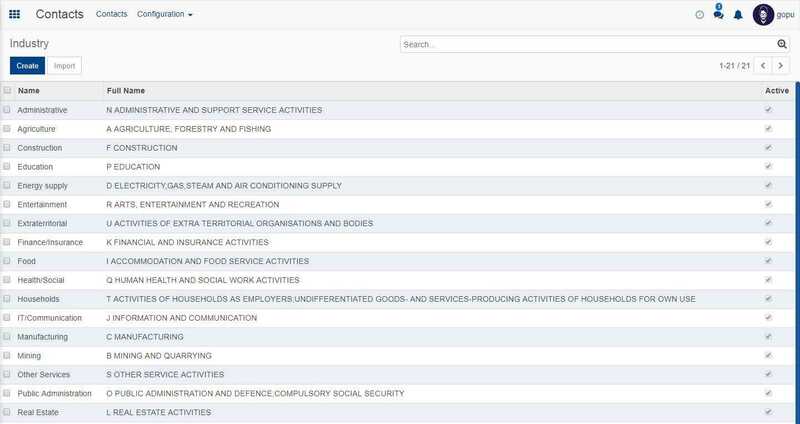 You can see options like payslips, timesheets, contracts, broad factor etc. from the dashboard. Their number is mentioned below. 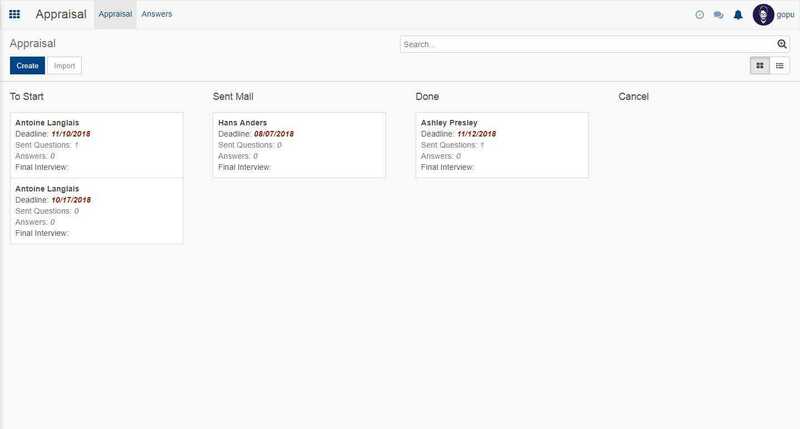 Also you get information about leave requests and job applications received. 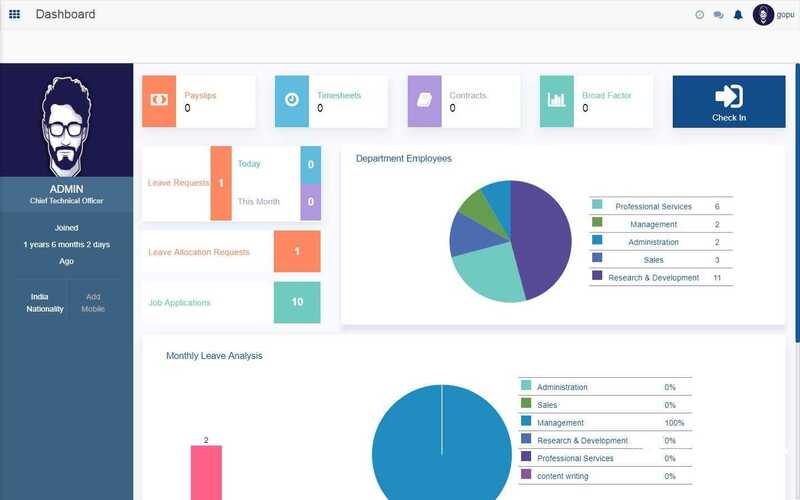 Now the detailed report about the employees working in the firm is shown in the pie chart, this help for easy understanding. Now you get leave analysis also from the dashboard. The pie chart shown in the screenshot is representing the leave analysis. Easy understanding and simple analysis can be done here. 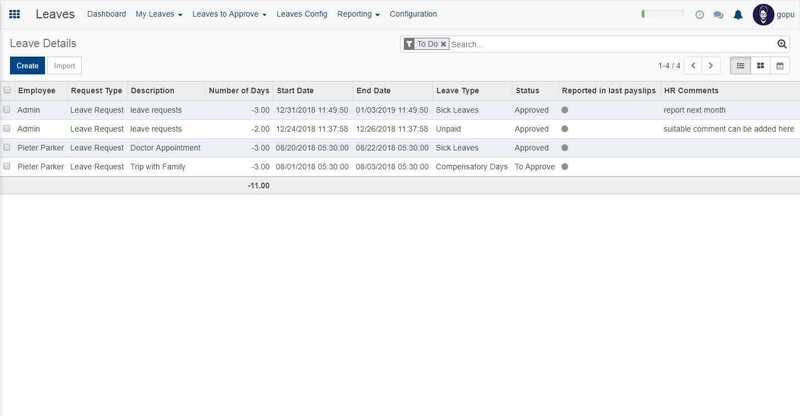 Individual leave analysis can also be done using the option of my leave analysis. 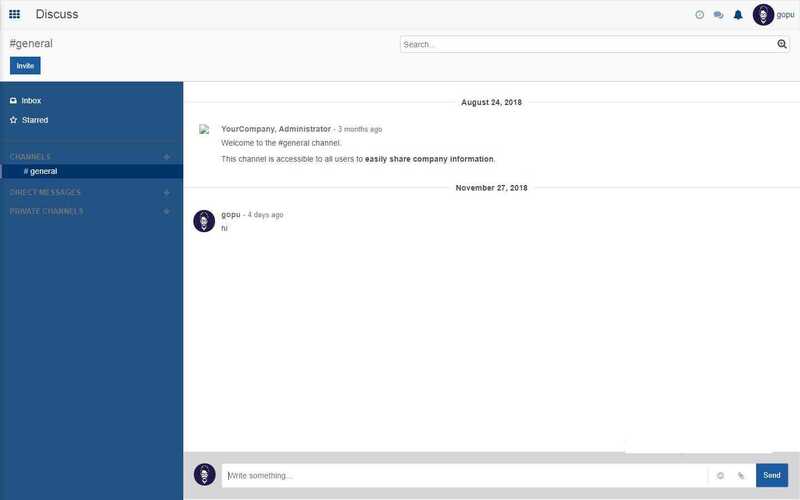 The upcoming birthdays happening in the company can also be viewed from the Open HRMS dashboard. The Open HRMS discuss is a discussion platform. 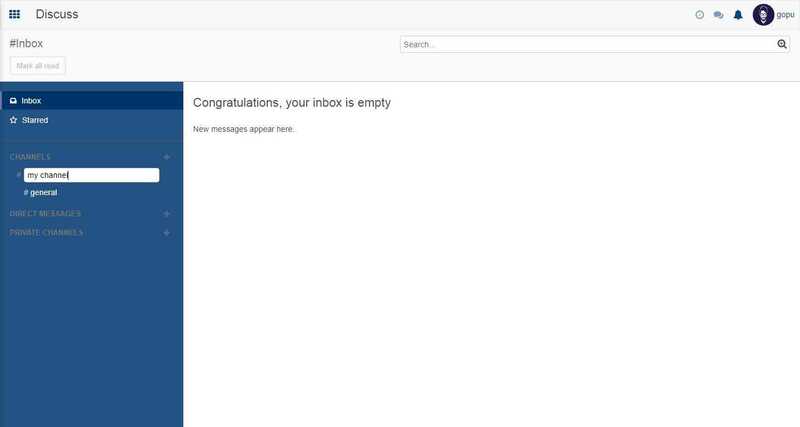 Here you can send messages, receive messages in your inbox etc. The operation is similar to other chat rooms. 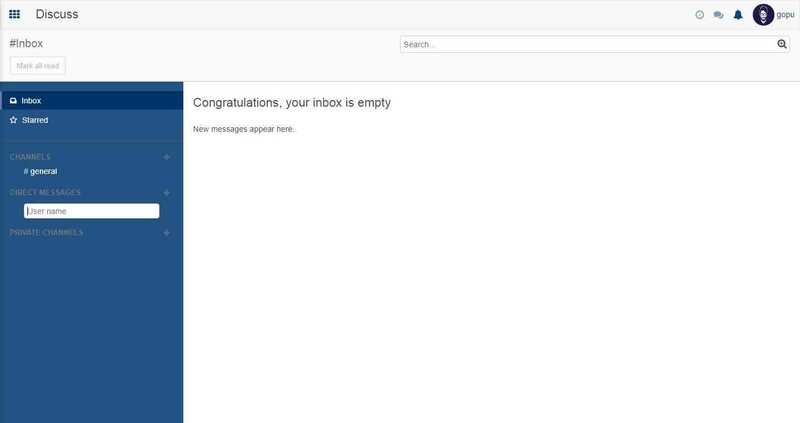 Here the messages you receive will be shown in the inbox (here we have no messages, that is why it is showing empty). 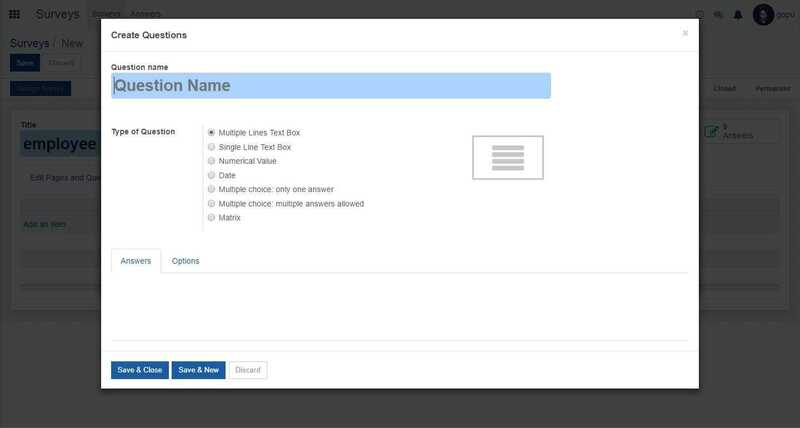 Then we will get an option to name our channel, select a suitable name and press enter. Your channel will be created. If you want to message directly just press the ‘+’ sign near the direct messages option. Enter the user name and send messages directly. 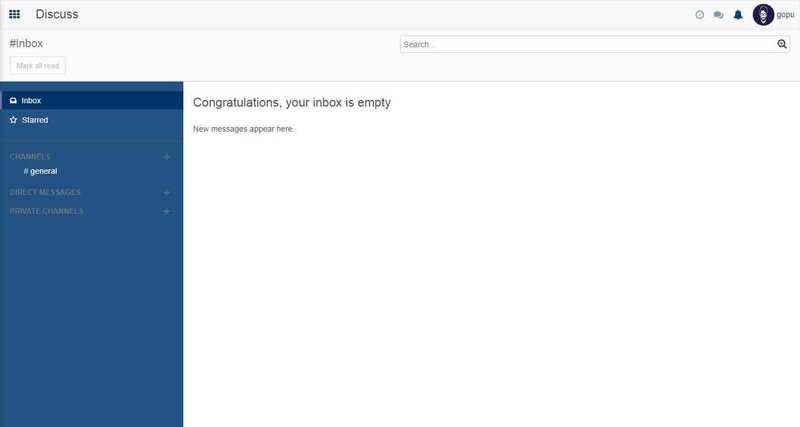 The search option allow you to search various things like content, author, recipients, parent message etc. Now if we click on the available channel option, the members in that channel can send messages. Now if you watch the screenshot, the channel named general is opened. Now we can send messages under that channel since there is a membership on the channel. If we star the messages it will be shown in the starred section. If we click on the channels option all the available channels will be shown. The channels which we are already joined won’t show the join button, other channels show the join button. If we click on the join button we can join the channel. Here too we have got the option to create a channel, for that click on the create button. Now on the window that appear, give a suitable name for your channel. Then fill in all the necessary fields. When it comes to auto subscription there are lot of options to select from. 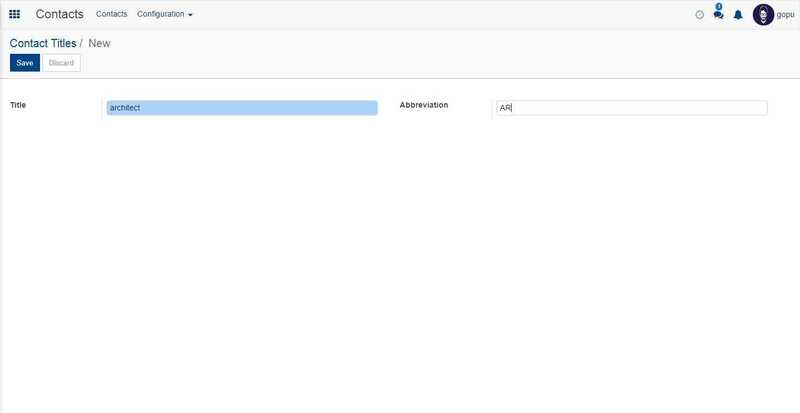 Now after doing all this you have to click the save button and then your channel will be created. The employee’s application gives details about the employees working in the company and also about all the employee activities. Here you get to see various employee’s working on your company along with their working position. 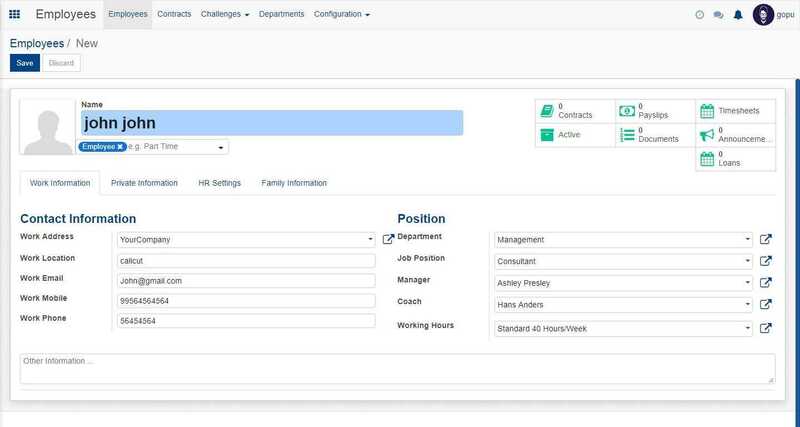 To add a new employee click on the create button. 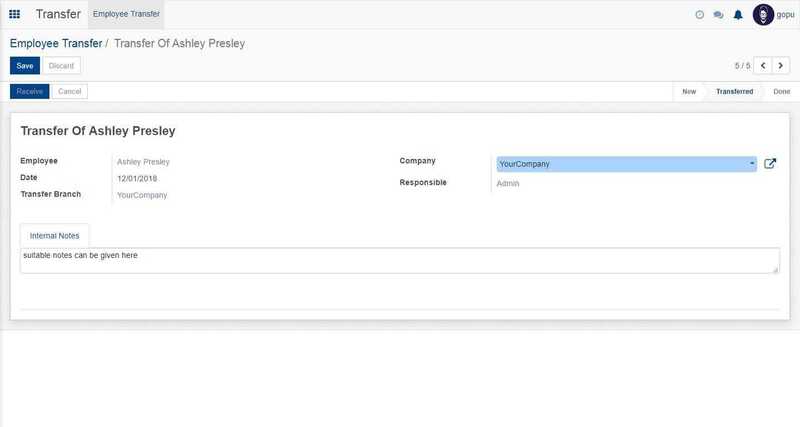 Now a window will appear where we have to specify the new employee details like work address, work phone, work email, department etc. Now after specifying all that just click on the save button and the new employee will be saved. 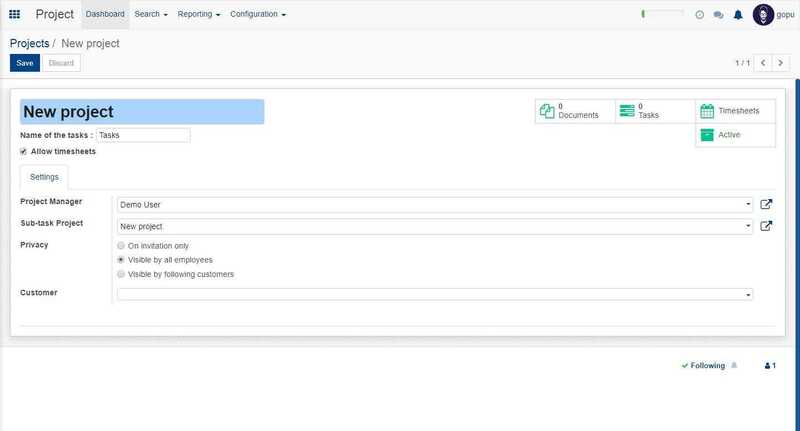 Now in the window that appear, fill in all the necessary details about your contract like contract reference, employee assigned, department etc. Once done click on the save button. 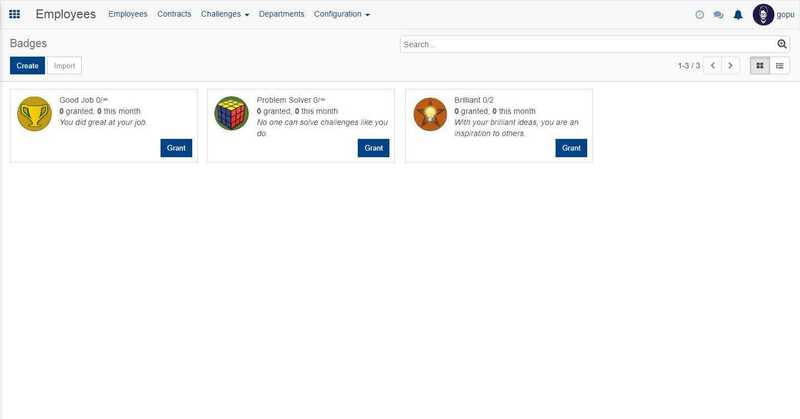 •	Now if you take the challenges option you have badges, challenges and goal history. Now add the necessary details like badge title, allowance to grant etc. Once you have filled in all the details click on the save button and the new badge will be saved. Now in the window that appears fill in all necessary details about the challenge and click on start challenge. Once started click on save button to save the challenge. 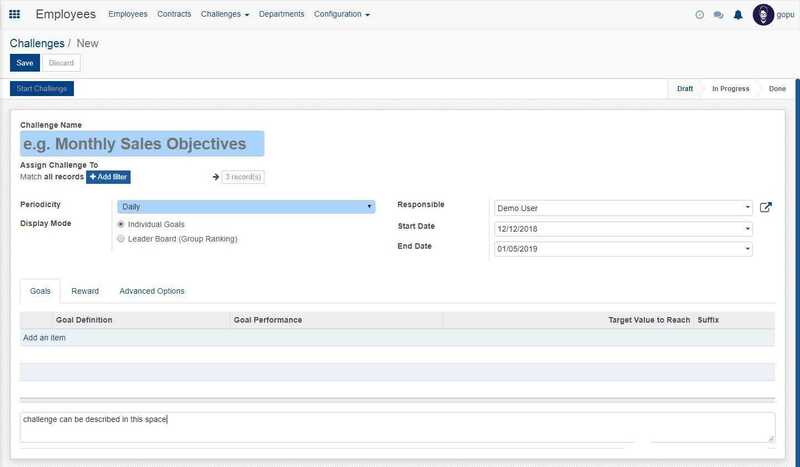 Goal history option tell about the employees who have achieved their goals or challenges. 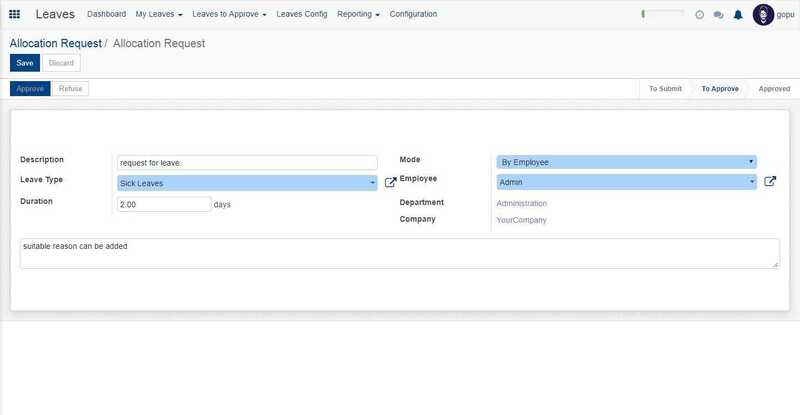 •	The department option gives details about employees based on their department of working. Here you can see that employees are grouped in to various departments in which they are working like administration, management, sales etc. 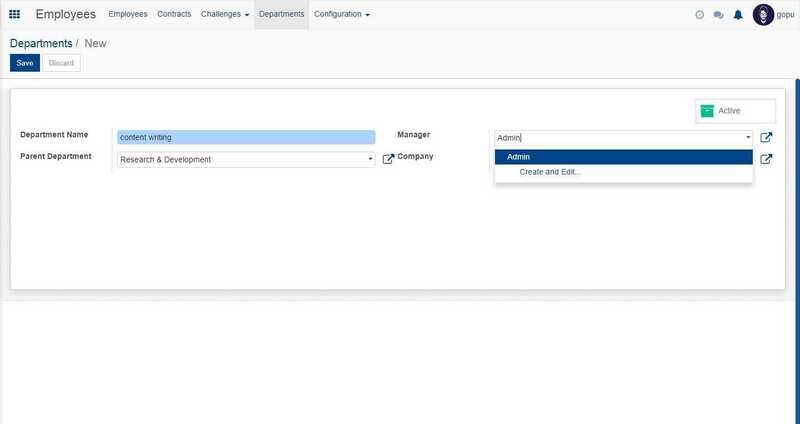 Now if you want to create a new department, click on the create button. Now fill in the necessary details about the department which you are creating, once done, click on save. 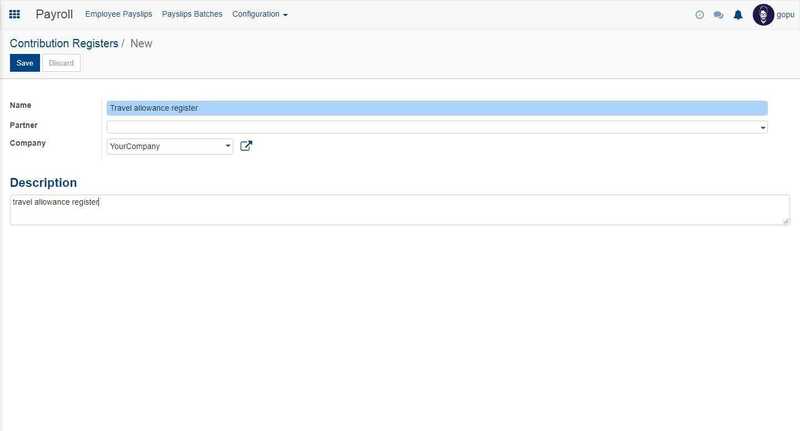 •	In the configuration part we have settings and regularization category. 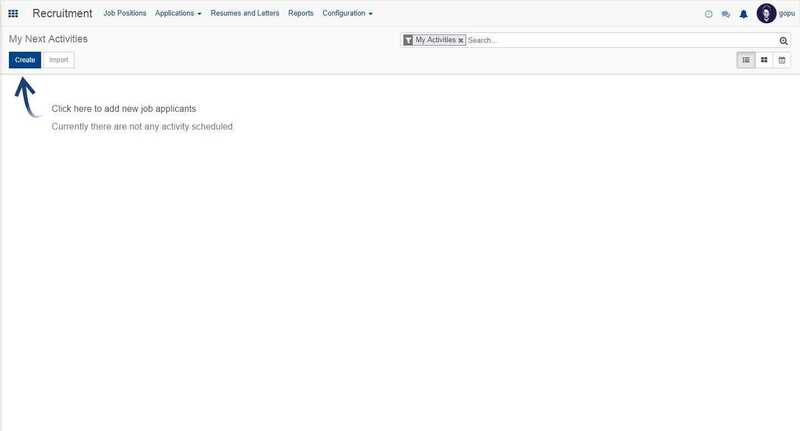 In settings we can set the work organisation which include the company working hours, also there is an option to show the organisational chart. If we tick on that the organizational chart will be shown. Now give a suitable category and click on save. Then the regularization category will be saved. 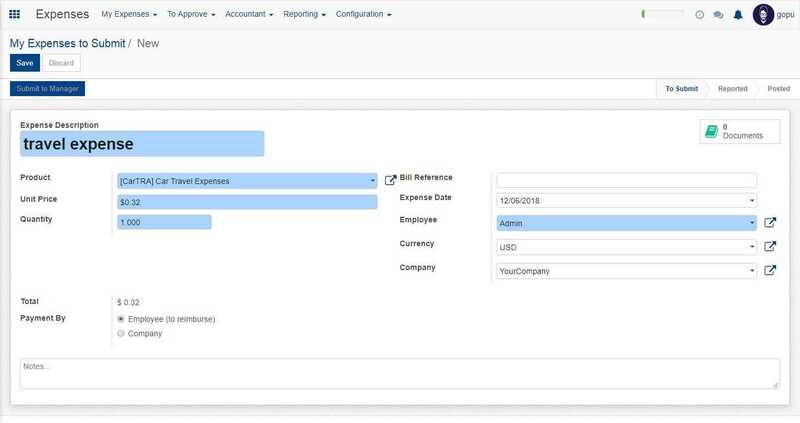 Using the Open HRMS expense application, the employee can submit their various expenses to the company which can be either approved or rejected. 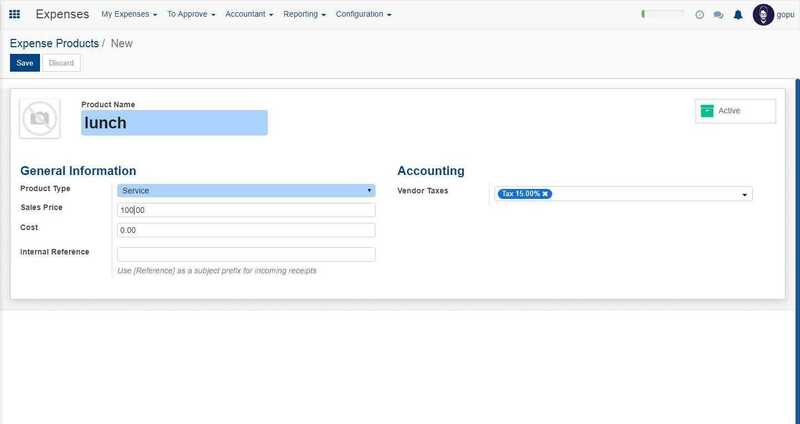 To create a new expense click on the create button. 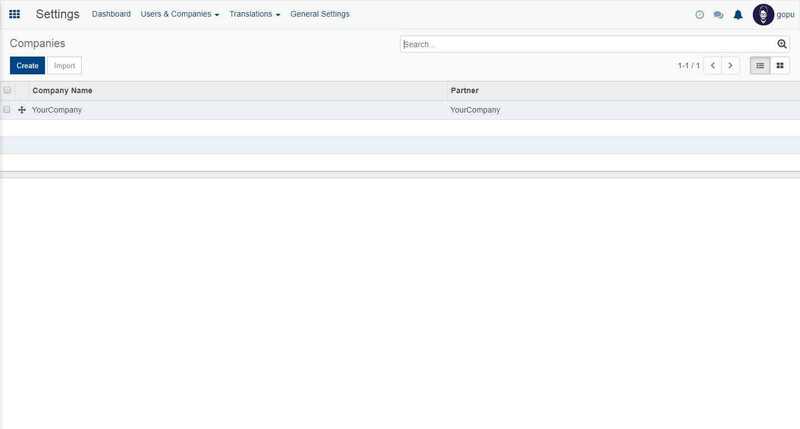 Here you can add the details about your expense, you also can add bill reference, for that click on the icon near bill reference. Fill in the details and then click on save. Now this can be approved or refused by the authority. Once approved the payment can be registered. The refused reports shows the expenses which are not approved. 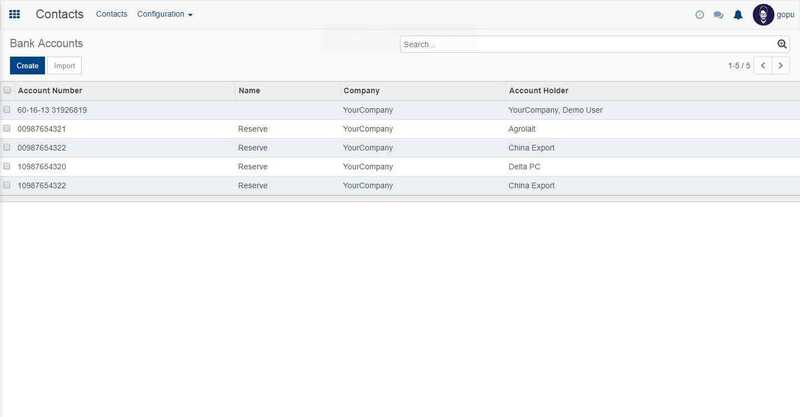 The expense reports shows the various expense reports which are created. 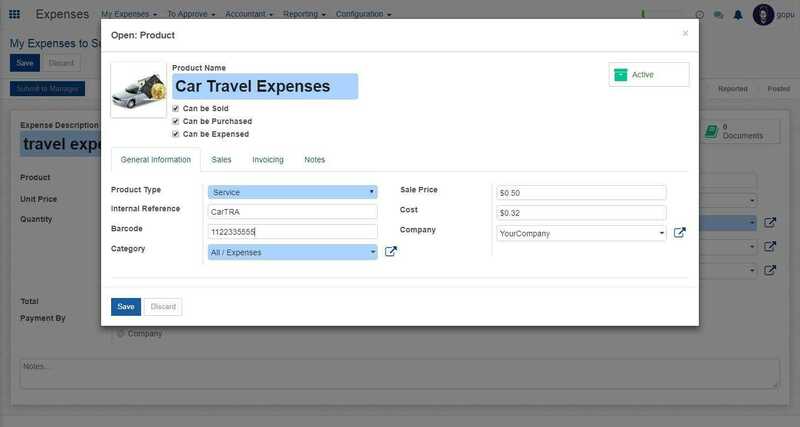 Here too by clicking create button you can create expense report as mentioned earlier. The expense reports which are to be validated by the manager are shown here. Here we have two options, ‘Expense report to Post’ and ‘Expense report to Pay’. 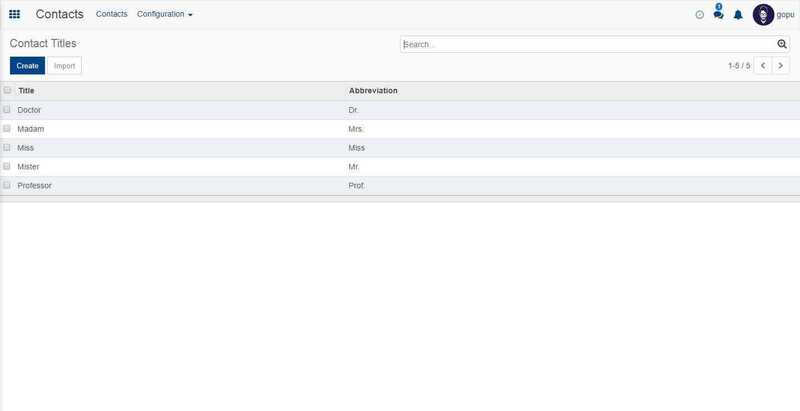 The expense reports which shall be validated are shown in the ‘Expense report to Post’ option. This feature can only be accessed if the user is having account permissions. 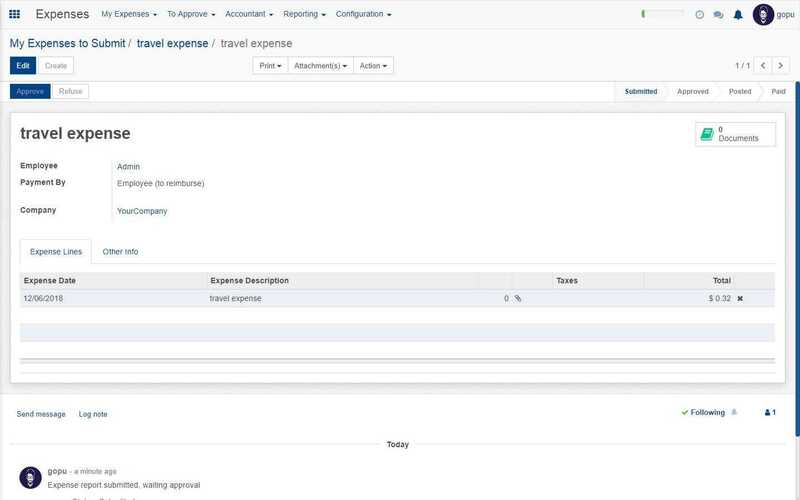 The reporting option gives the analysis of the expenses. Here we have two options, expense analysis and expense report analysis. 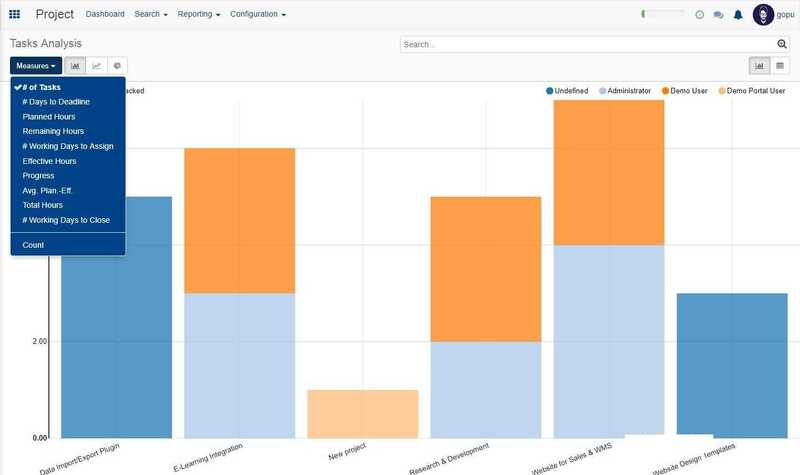 The expense analysis shows the analysed view of expense in graphical format. 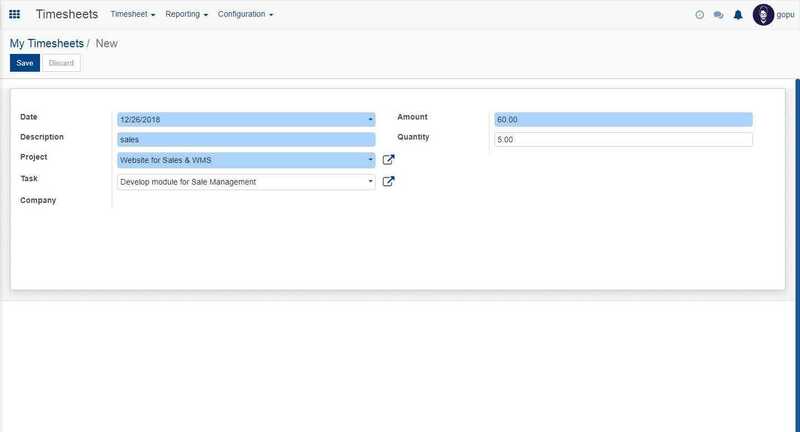 In the configuration part we have settings and expense products. 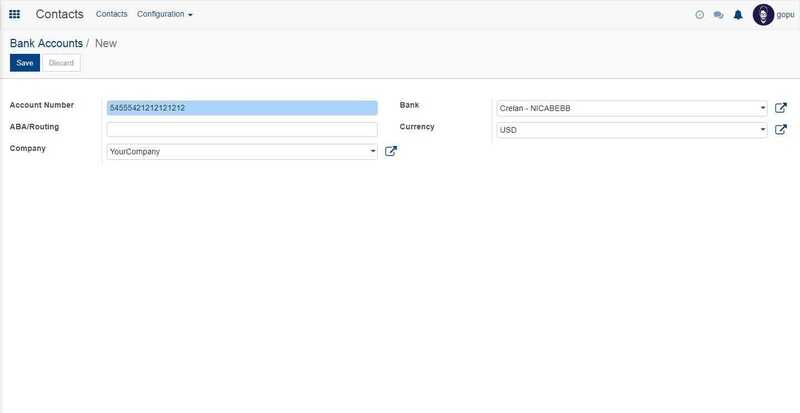 Here we have got option to create a new expense product, when we click on the create button a window will appear. We have got option to edit it also. Now in the settings parts we have got options as seen in the screenshot. 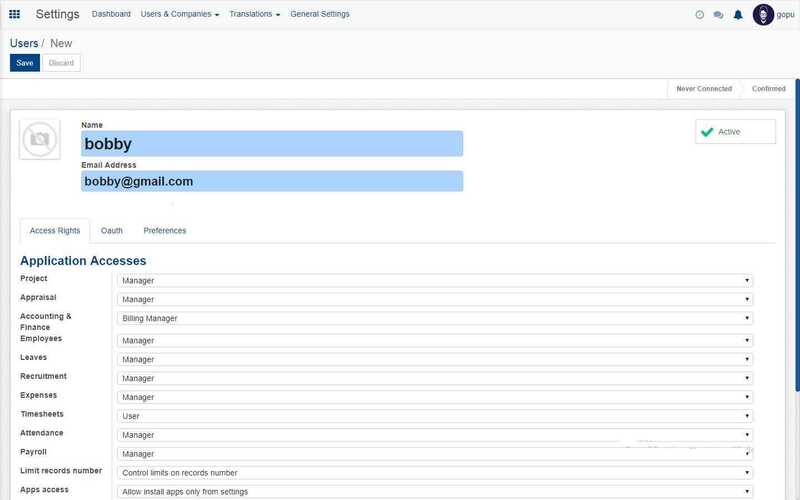 We have options for emails and customer billing which we can activate by clicking in the settings part. The Open HRMS leaves deals with all the activities related to employee leaves and related activities. The dashboard will show a calendar where the leaves will be marked, that is if there are any. In the leaves section we have leaves summary, leaves requests and allocation requests. 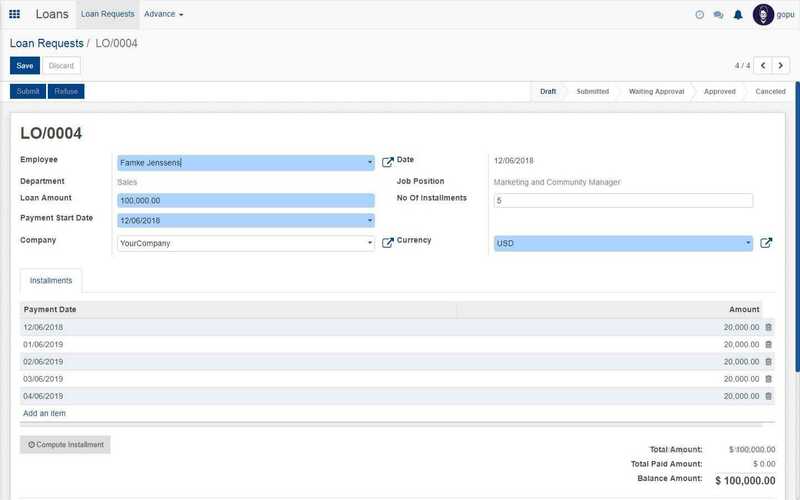 When you click on create leave summary option a window as seen in the below screenshot appear where you have to fill in all the details. After filling click on save button. It can be either approved or refused. 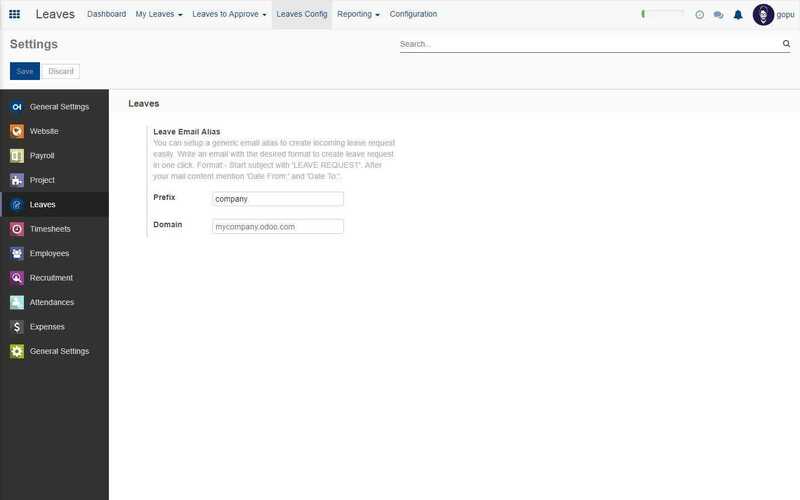 The leave request cannot be approved by the user and can only be approved by those users having the permission. 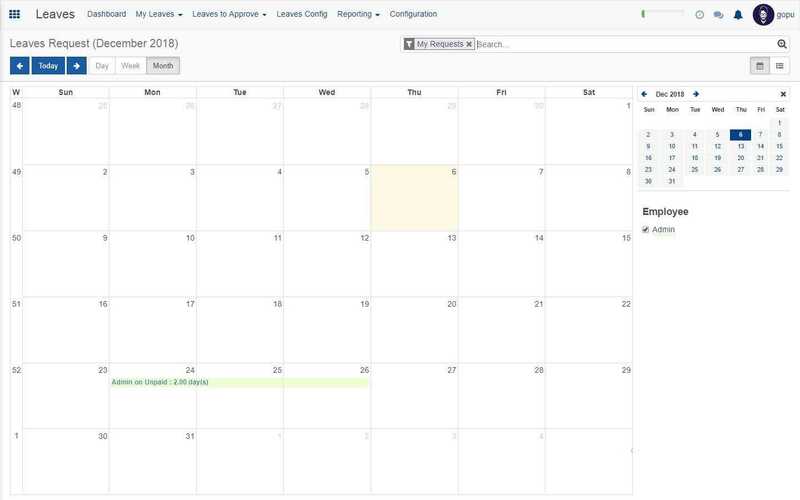 The leave requests option shows the approved leave request on the calendar view. 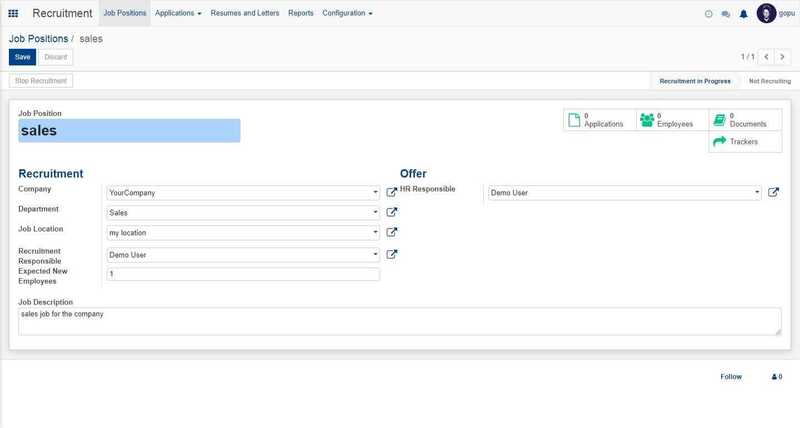 The 'Allocation Request' option is used for requesting leave allocation. 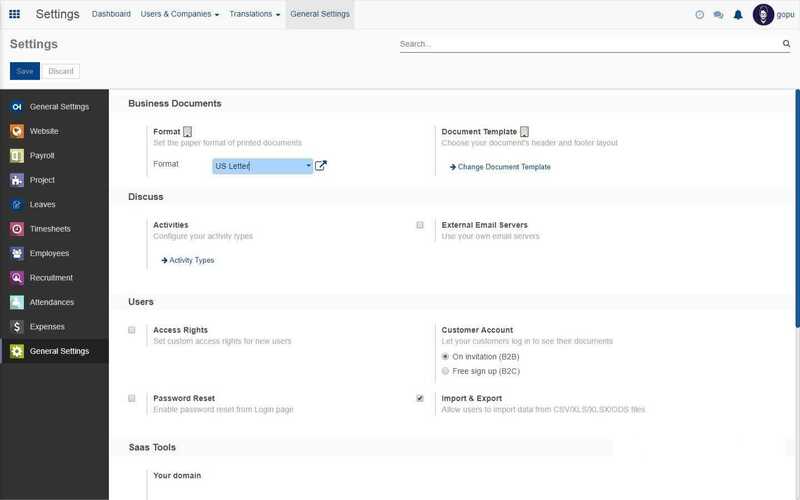 That is, if there is no legal leave (Leave Type)(0 remaining out of 5) available for the user which means the user is already taken the legal leaves allotted to him and so he is requesting more legal leaves for him. 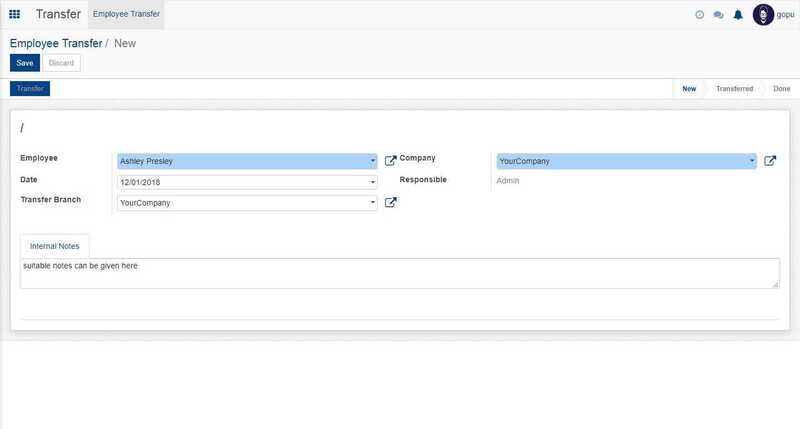 If the allocation request is approved for a particular leave type then the user will be able to create Leave Request using the particular leave type. In the window which appear fill in all the necessary details and click on the save button and it can be approved or rejected. Detailed report regarding the leaves can be accessed from here, here we have options like leave details, leaves and leaves by department. The leave details option gives a detailed report about the various leaves and their status. When this option is clicked we get the graphical representation of the leaves. Here if we click measures we have the option to view the analysis based on number of days or allocation. The screenshot is based on allocation. The graph can also be accessed in line chart and pie diagram format by clicking the buttons near measures option. 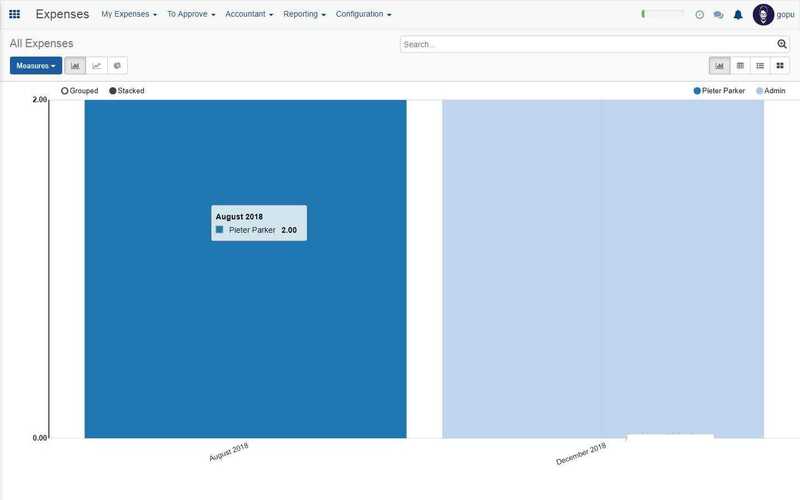 Here in the screenshot the bar graph option is shown. 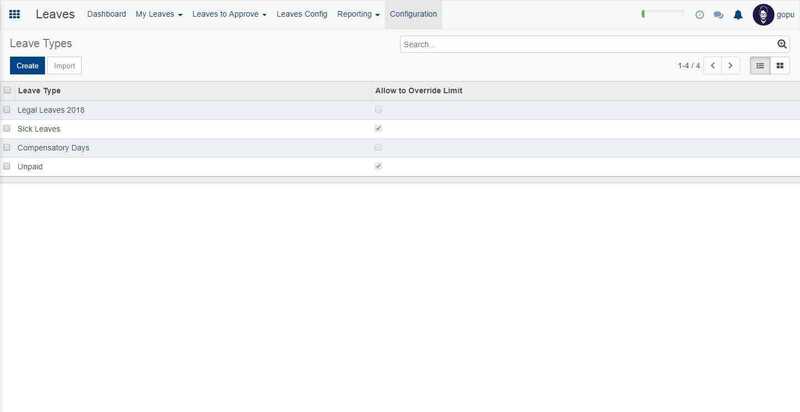 This option shows the leave requests categorized on behalf of their department. 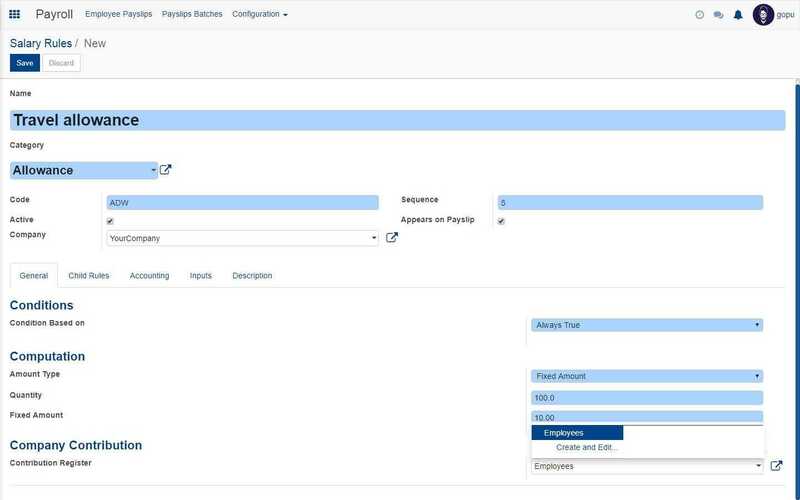 In the configuration option we can configure various type of leaves like sick leaves, paid leaves, unpaid leaves etc. Here there is option to create a new leave type; for that click on the create button and in the window which appears provide necessary details. Once done click on save button and leave type will be saved. 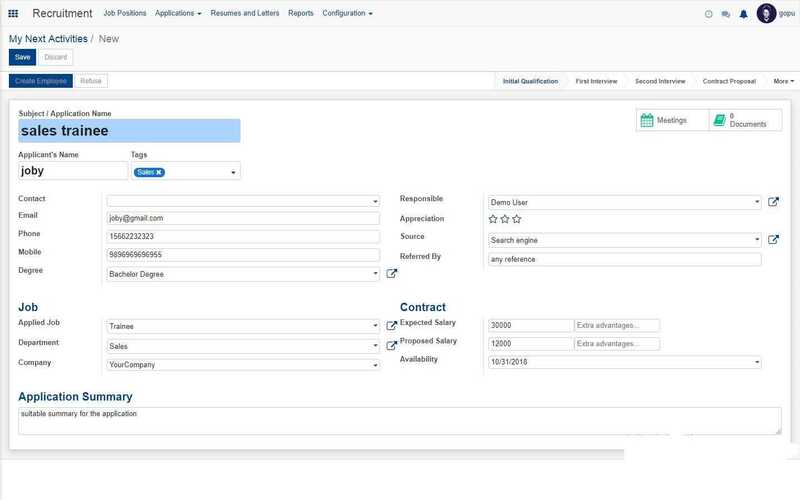 The Open HRMS loans application allows the user to apply for loans with details such as loan amount, instalment payment date, number of instalments, attachments etc. 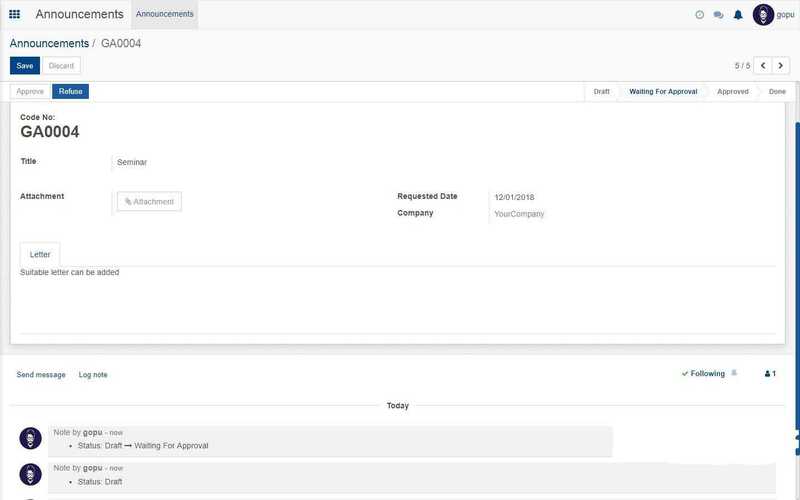 Here as you can see from the screenshot, the employees have requested for loans and you also can see the loan amount, date and the status of the loan. Once you click in the create button, the window shown in the above screenshot will appear where you have to specify the details about your loan. Once done click on the submit button and click on save. The loan will now be cross checked by the suitable personnel’s and once they find it legible, they can approve it. The status of the loan will be depended on status of approval. In the advance option we have salary advance, approved salary advance and salary advance to approve. Now fill in all the necessary details and click on the submit button and save it. Now the authorised person can approve or reject your request. The approved salary advance options show the salary advance requests which are approved. 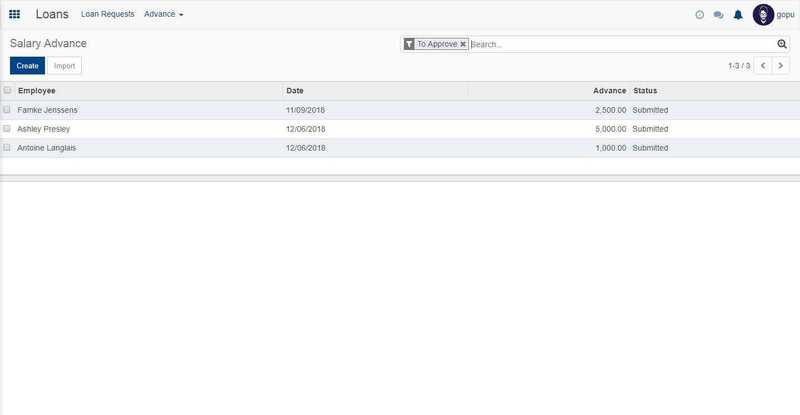 The salary advance to approve option shows the submitted requests for salary advance as seen in the below screenshot. 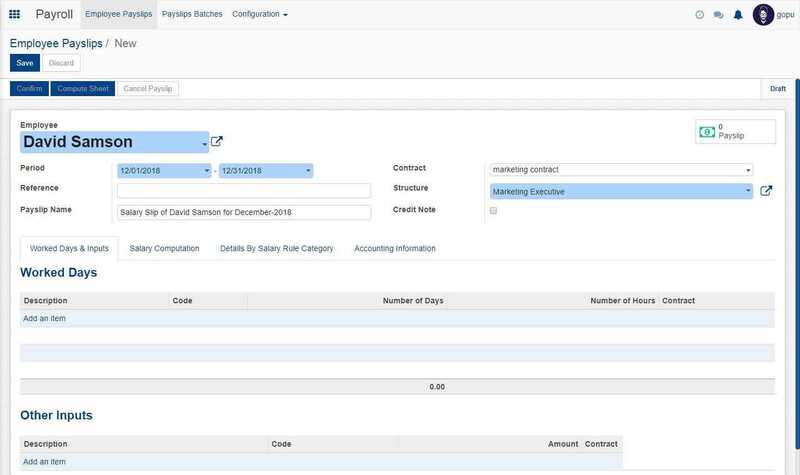 The Open HRMS payroll application deals with the payroll management of the company. Payroll refers to the total amount of money that a company pays to its employees. In the employee payslip, you can get various details like employee name, payslip name, dates, company and status of the payslip. 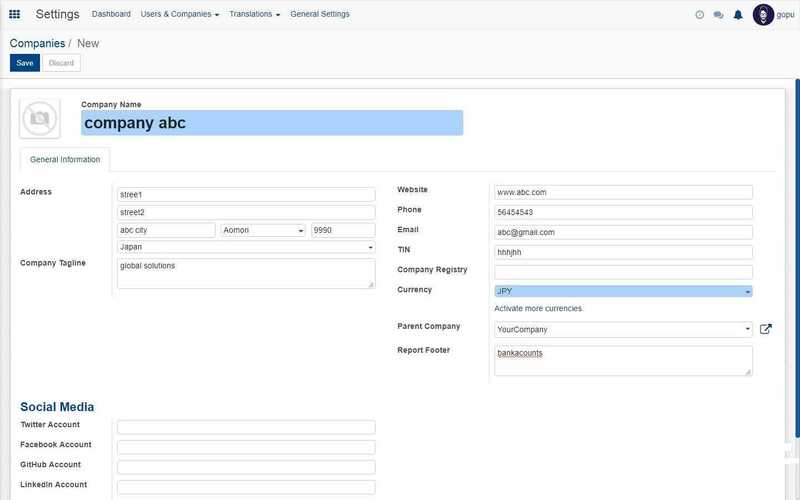 Fill in the fields with relevant data like employee name, period, structure etc. 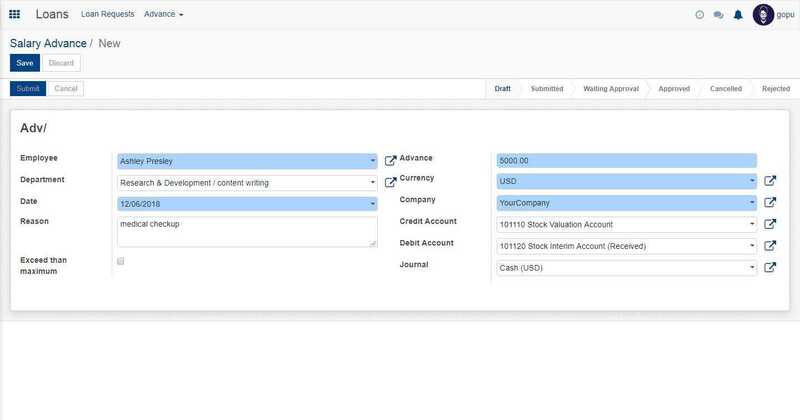 Now fill in the accounting information by adding all the necessary details as seen in the screenshot. Now there are three options before saving. 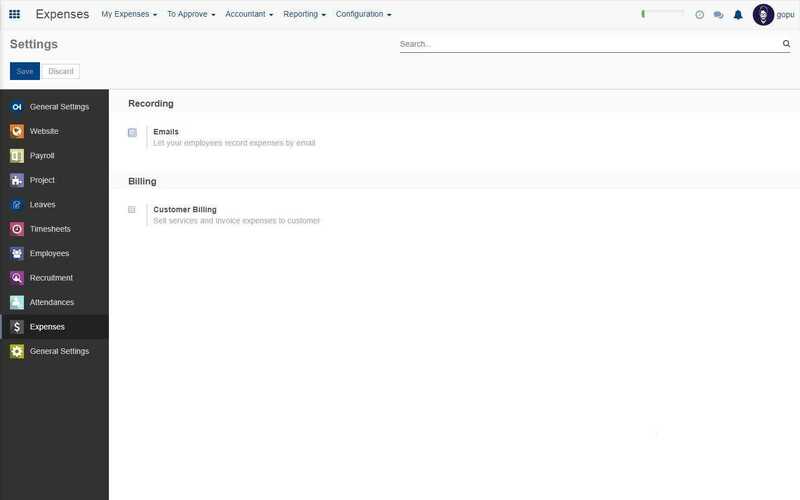 We can either confirm the payslip, compute sheet or cancel the payslip. If we click on confirm, the payslip will be created and to save it click on save. 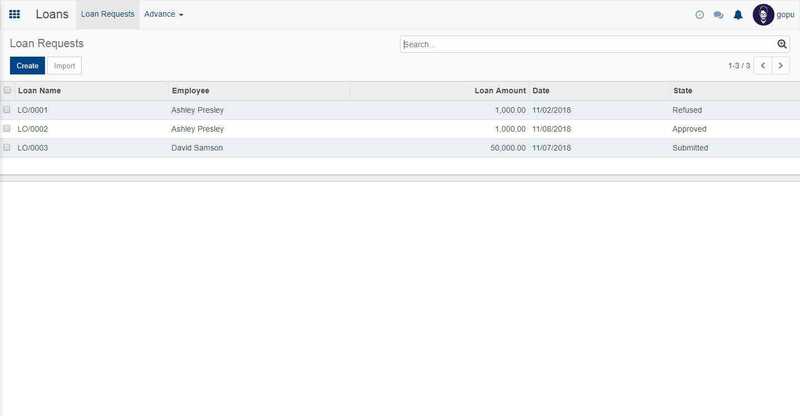 Here in payslip batches you get to see various information like name of the employee, date information, salary journal, credit note and status of the payslip. 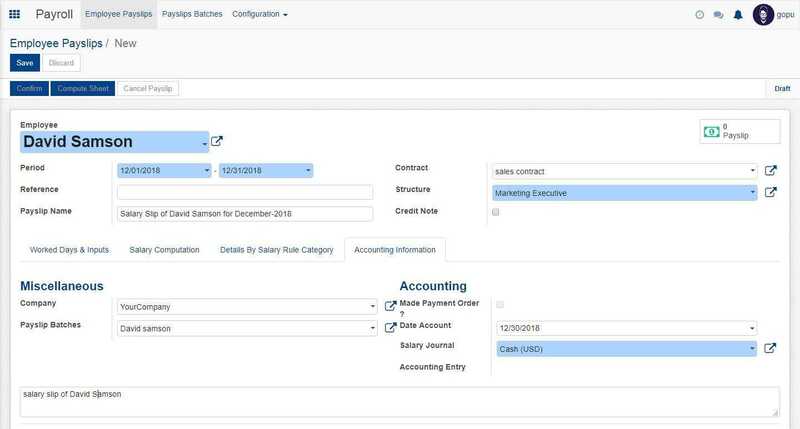 To create a new payslip batch, click on the create button. Add in the necessary information and click on save. 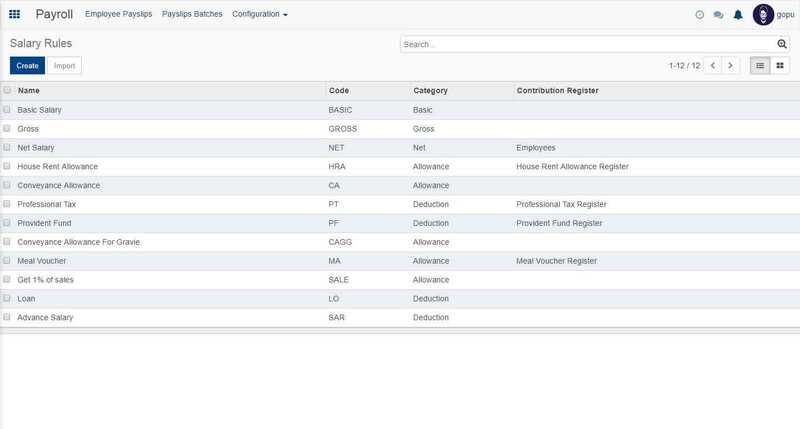 in the generate payslip option we can add employees and then generate the payslip. To save this, click on save button. there is also an option to delete a payslip, to delete a payslip it has to be draft or cancelled. Otherwise you won’t be able to delete it. 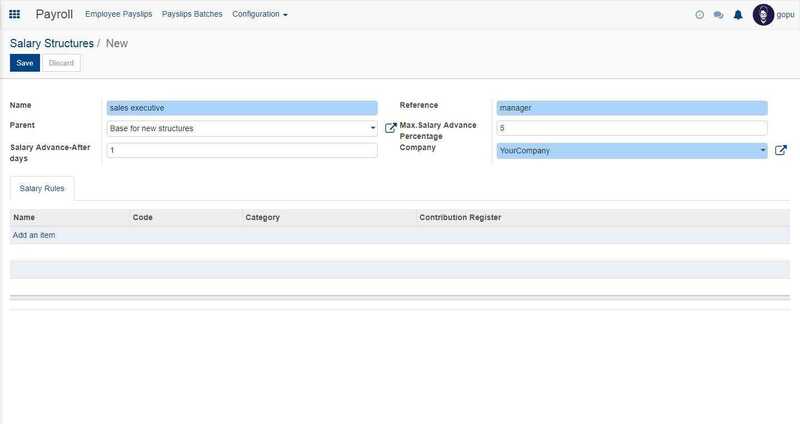 In the configuration part we have options for settings, salary structure, salary rules, contribution registers and contract advantage templates. Now you have to fill in all the details and then click on save button to save it. 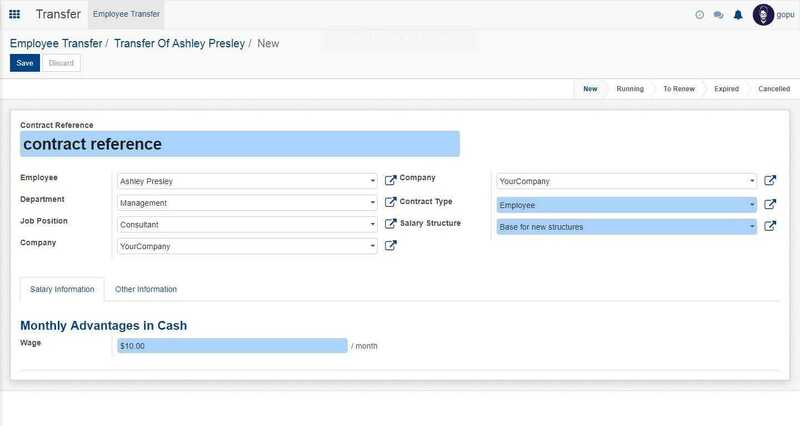 To create a new salary rule, click on create button. Now we have to add in all the details regarding the salary rule and then click on save button. 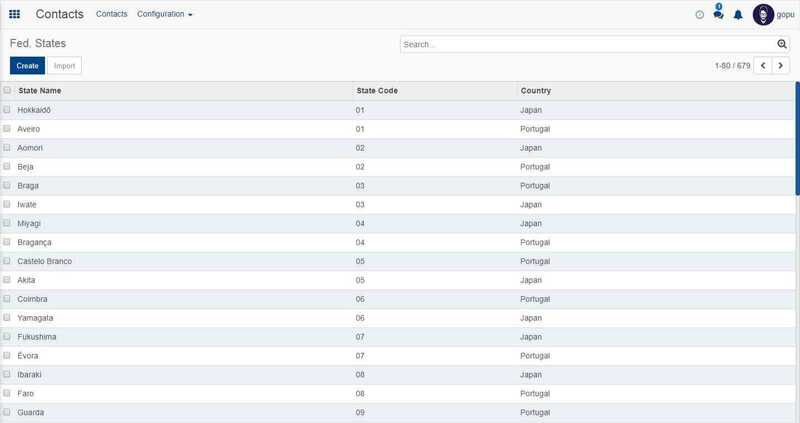 You can see from the screenshot about the various registers. Now click on create button to create a new contribution register. After filling in all the necessary details, click on save and the register will be saved. In the settings option we have option to choose the payroll localisation. 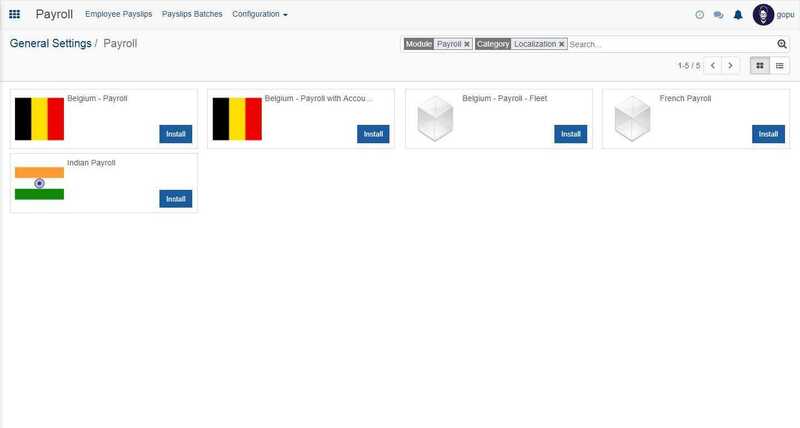 Now if we select the payroll localisation option, payroll systems based on various countries will be shown. You can choose your specific country and select install to install it. The various projects associated with the company is handled using Open HRMS project application. 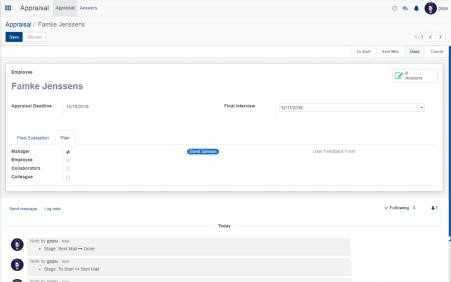 Give a suitable name for your project, to add more detailed information click on create and edit or click on create to add the project instantly. When you choose create and edit, this window will appear where you have to fill in all the details and then click on save to save the project. In the search option you have task option and next activities option. In the task option we can create a particular task. In the above window, click on the create button. In the window which appears, fill in all the necessary information. Once done click on the save button. 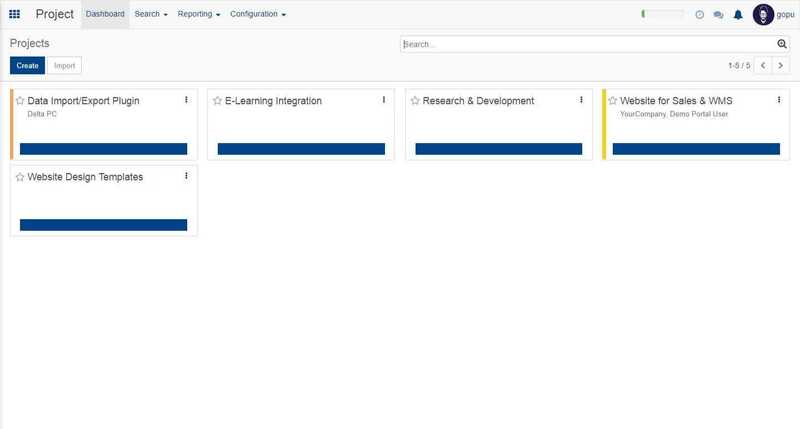 To create or add information about next activities regarding the project, select the next activities option. 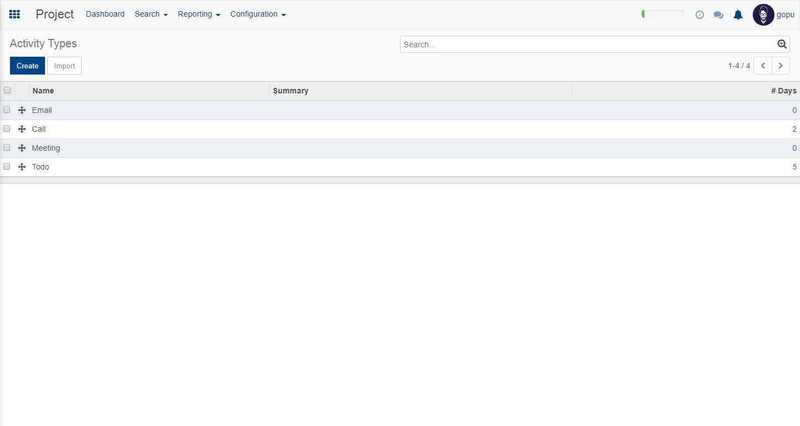 In the reporting option we can see the option called task analysis. 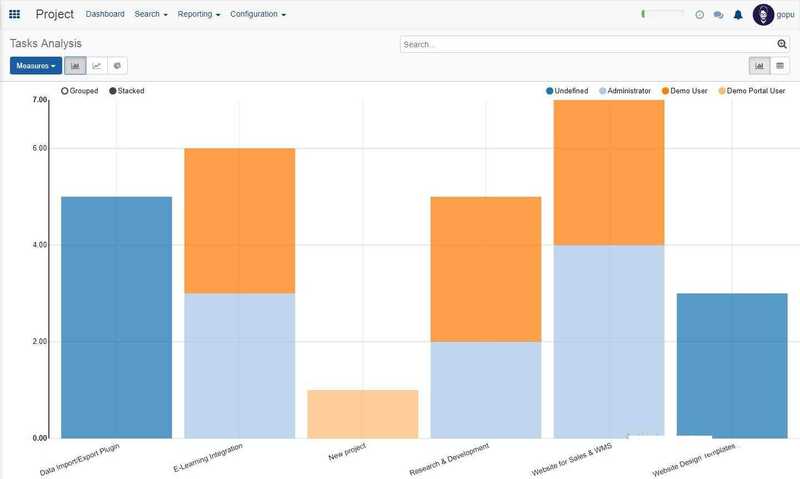 This gives the detailed analysis of the various ongoing project in bar graph mode, line graph mode and pie chart model. 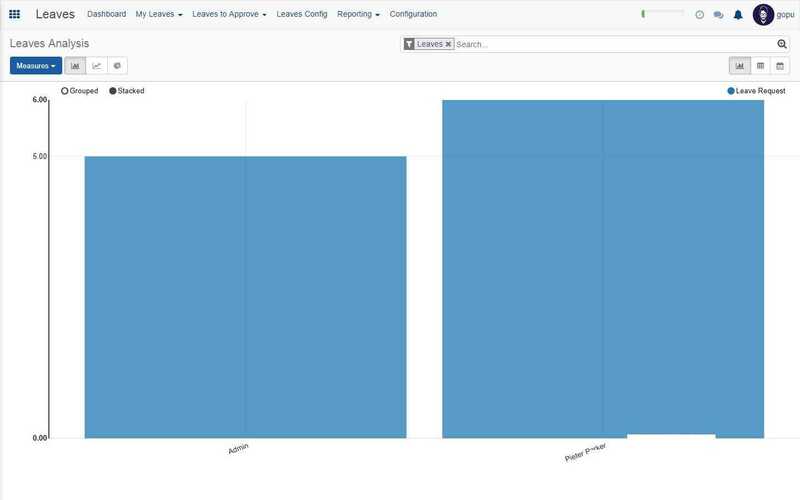 Here from the screenshot you can see the analysis is given on bar graph model. We can also set it to line and pie chart model by clicking the buttons which you see near the measures option in the screenshot. In the measures option you get various measuring options which you can analyse from the graph. All you have to do is select each option. 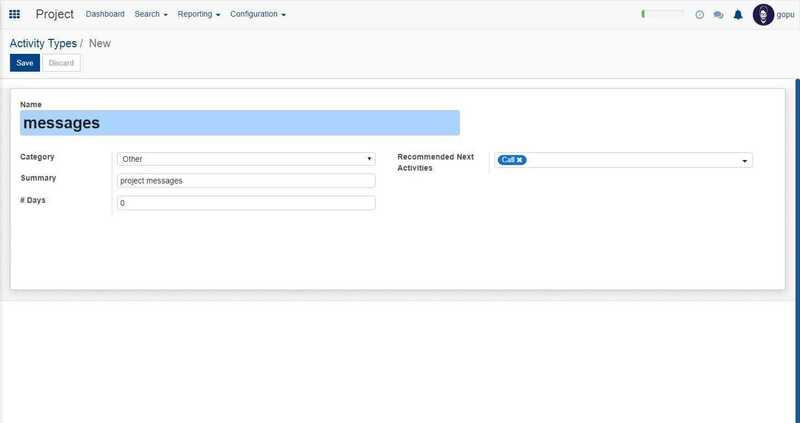 In the configuration part we have settings, activity types and projects. 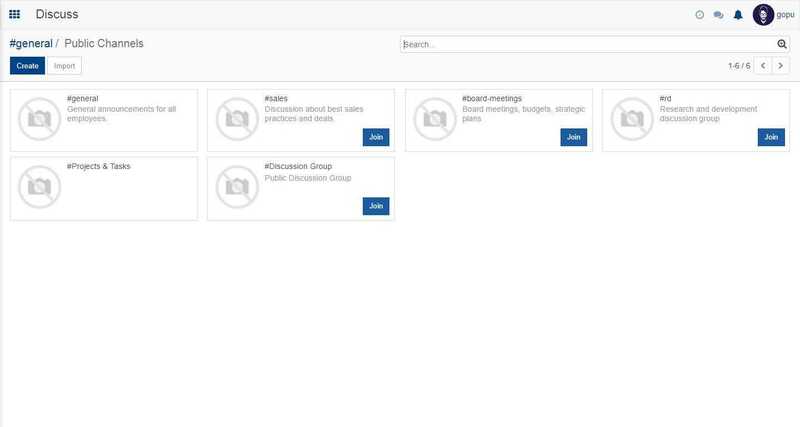 The activity types shows you the various activities happening related to the project. 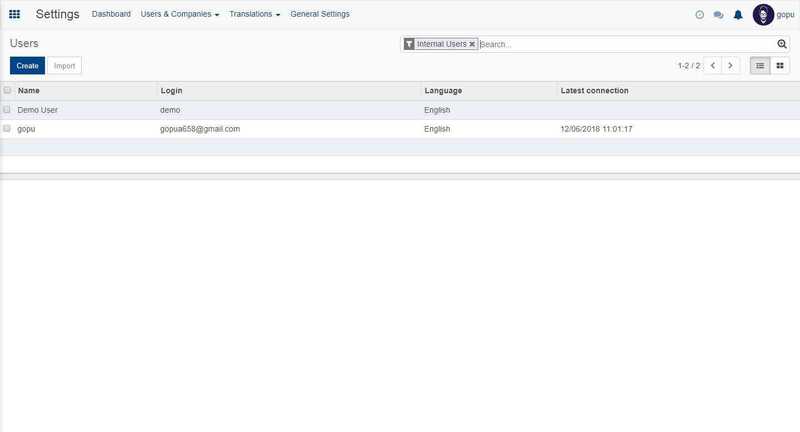 Here you can see from the screenshot the various activities like emails, calls, meetings etc. related with the project. To create a new activity click on the create button. Now add the details about the activities and click on save and your activity will be saved. 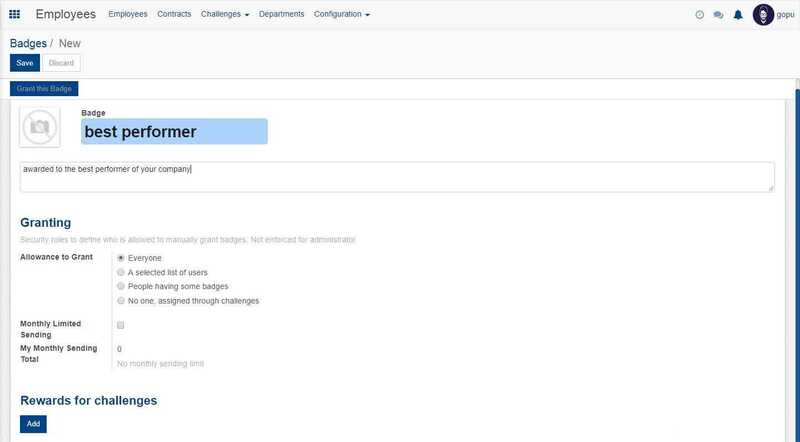 Now if you take the project option from the configuration menu, then you get to see all the project happening along with the assigned project managers and contact. This is shown in the below screenshot. Now if you want to create a new project, click on the create button, fill in all the details and finally click on save button. 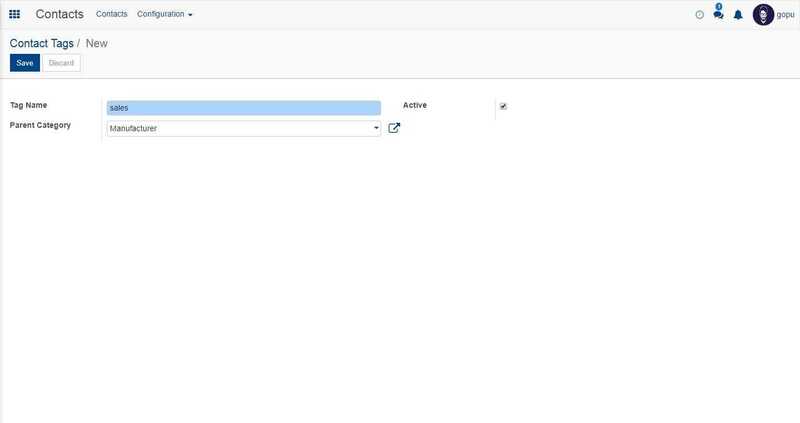 In the settings part of the configuration settings for task management and time management can be done. The settings option is as shown in the above screenshot. 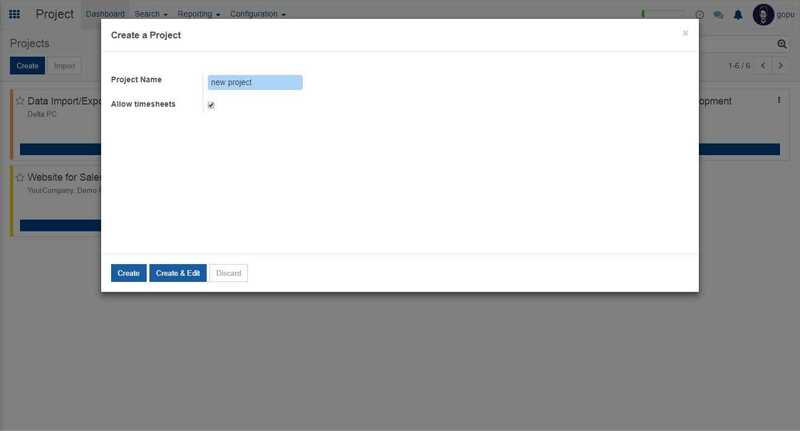 Under task management we can set collaborative pads, ratings on tasks and sub-tasks. The time sheet management comes under the time management part. 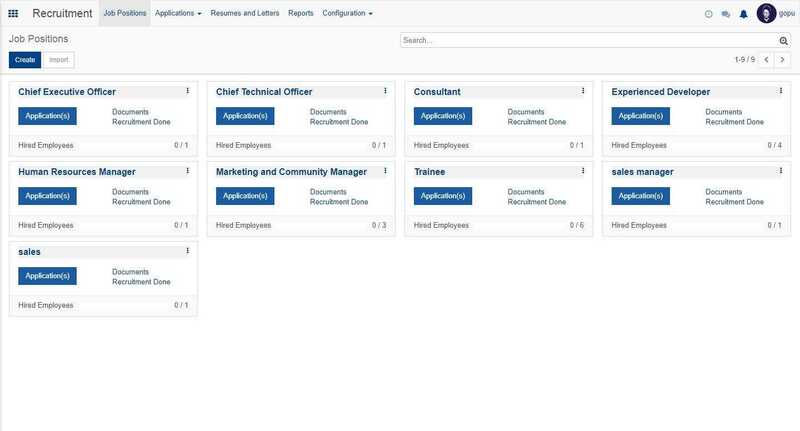 As seen in the screenshot, the job position option indicates various job openings currently available in the firm. 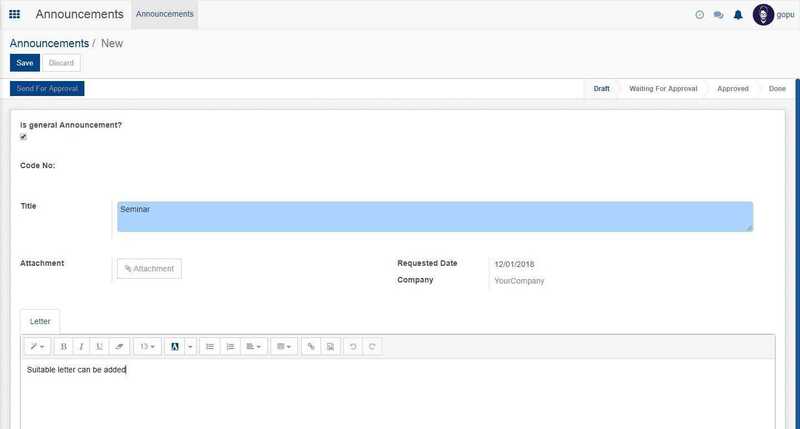 If there is a vacant post in your company, you can mention this post in the software by creating the new opening. 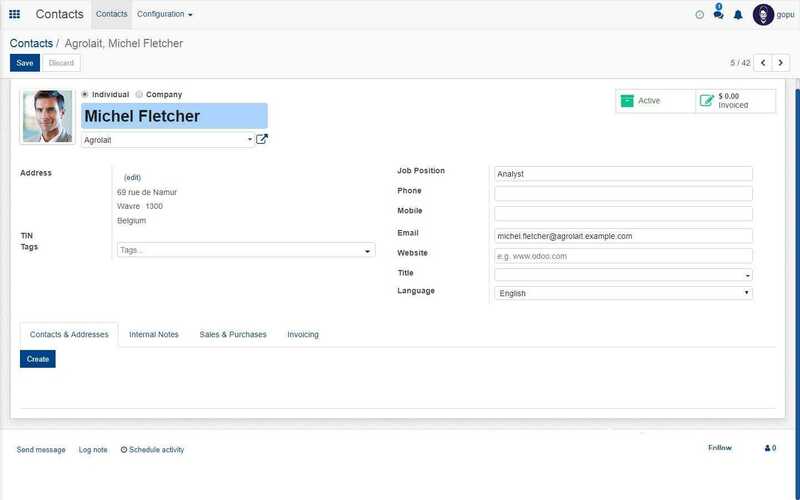 Here if we are just mentioning the job opening without any further details we can click the create button and the job opening will be added. 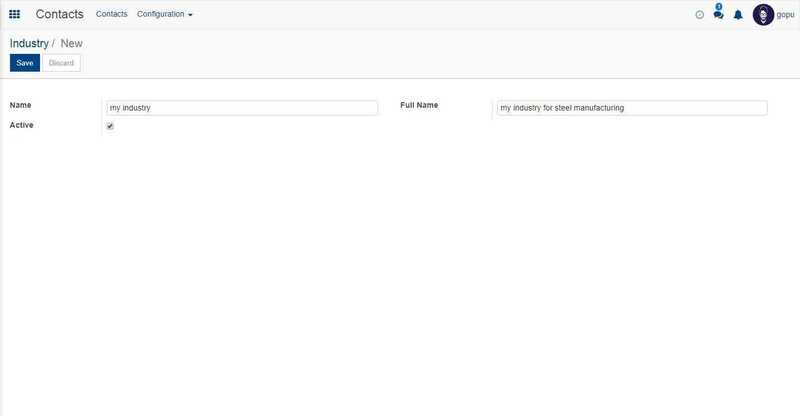 If we want to be more specific and add in little bit more details about the job, then we can click on create and edit. Here you can mention the job position, here we have mentioned it as sales. Now we can give the company name, department, job location, no of expected employees, recruitment responsible and HR responsible in the particular areas provided. If you want to give a job description which defines what the job is, you have got option for that too. In the job description you can type your description. Now after doing all this we have to click on save button and then it will appear on the job position menu. 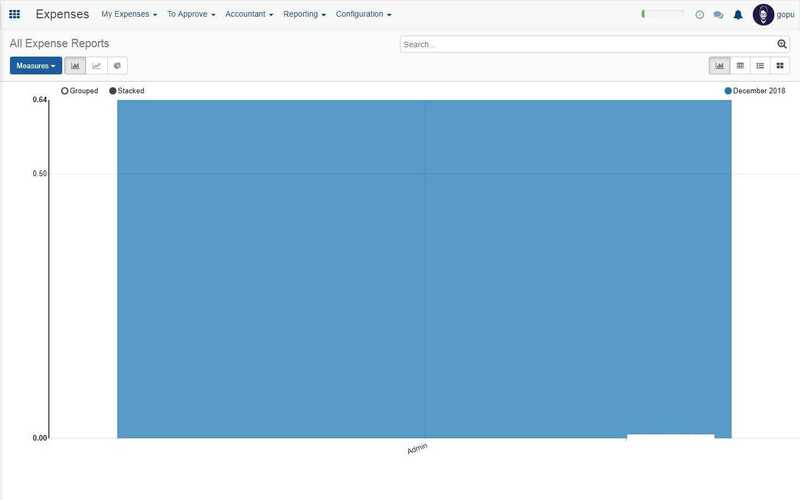 Here you can see number of applications, employees and documents related with the job position. With emails, job portals etc. the applicant for the job position can be tracked. That is the purpose of trackers seen in the screenshot. 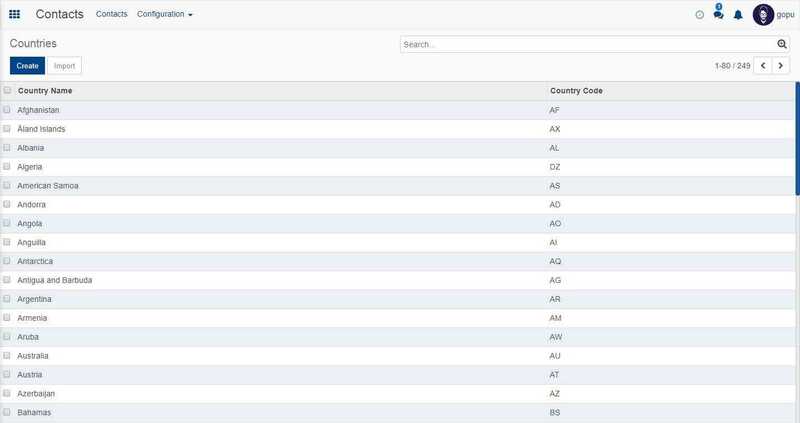 Here if you view the screenshot, you can see that various list of applicants can be seen. Here we will get details like the interview stage (first round, second round etc. ), documents attached with the application, position to which the applicant has applied for etc. Here you can mention the subject, that is the job opening. Now we can add all the necessary information about the applicant as seen in the screenshot. Also we can mention the stage in which the applicant is currently in. 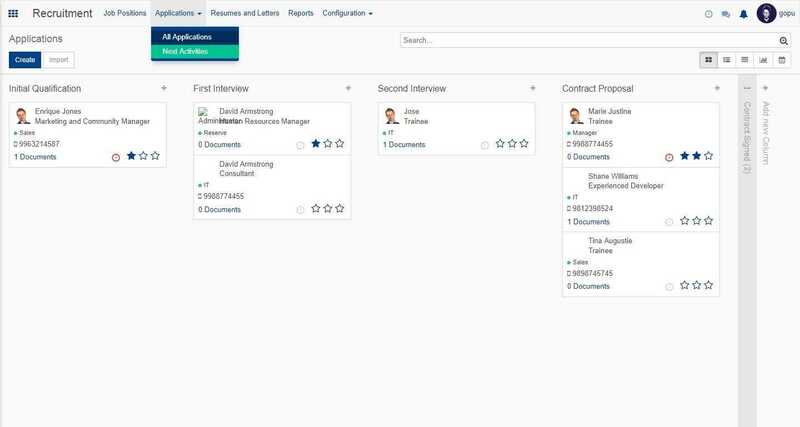 Here in the screenshot the applicant is in the initial stage, you can also include first stage, second interview, contract proposal and in the more part we get the contract signed stage too. If needed we can give the application summary also. Once done click on save and the application will be saved which is shown in the below screenshot. The resumes and letters with respect to the job applications can be viewed from here. If you click on the files you get access to each files. 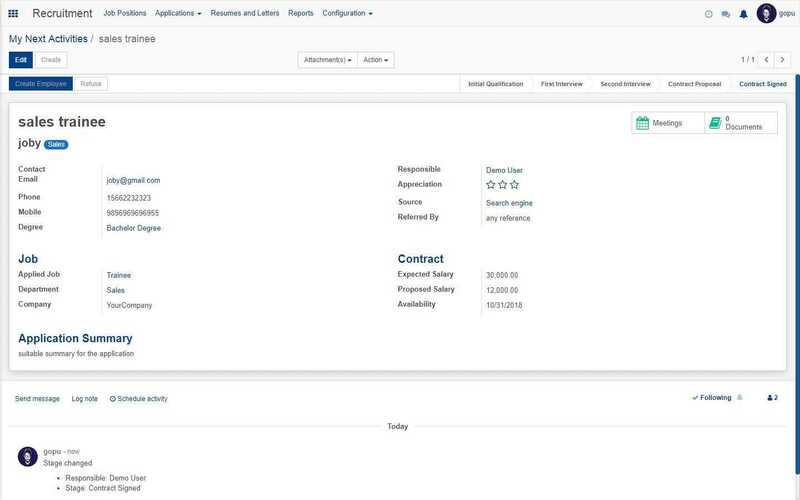 Reports about everything related to the recruitment process can be made available with the report feature. Once you click the report option you will get all the details about the recruitment in a report form. Basically the report option gives an analysis of the complete recruitment process. Here in the measures option we do have options like colour index, delay to close expected salary, probability and proposed salary. If we click on that they too will be added to the recruitment analysis section. 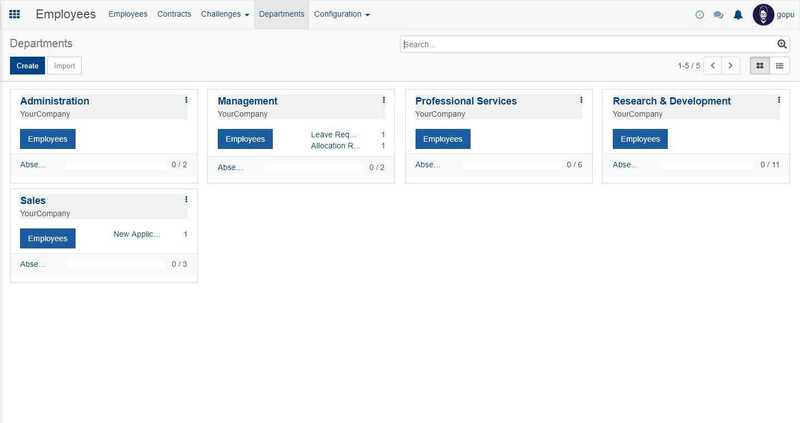 In the configuration section we have settings, job positions and departments. Here the job position and department section has been already discussed. Now we can look at the settings section. In settings we have job posting and recruitment process, by ticking the online posting option we can publish the job opening on our website. 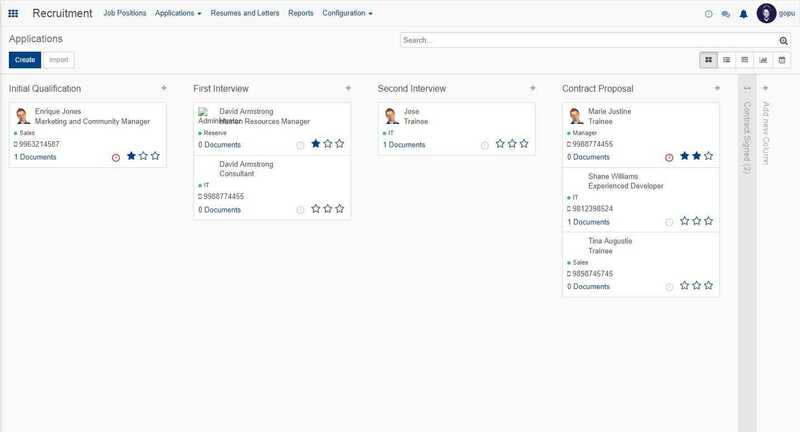 Similarly by ticking on the interview forms we can get the interview forms which can be used for the recruitment process. 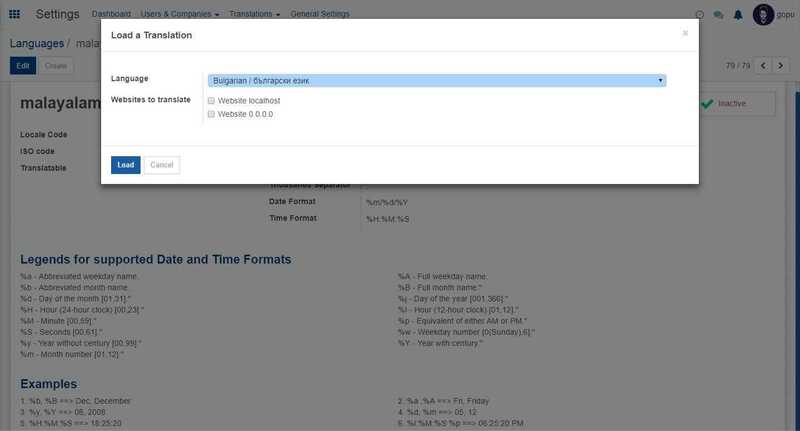 The Open HRMS reminder is used to set specific reminders so as to inform about important occasions, meetings etc. Then a window like this will appear, fill in the necessary details like model, company etc. Finally click on save. Now your reminder will be set. The Open HRMS survey can be used to create surveys for getting proper feedback and response from the employee side. 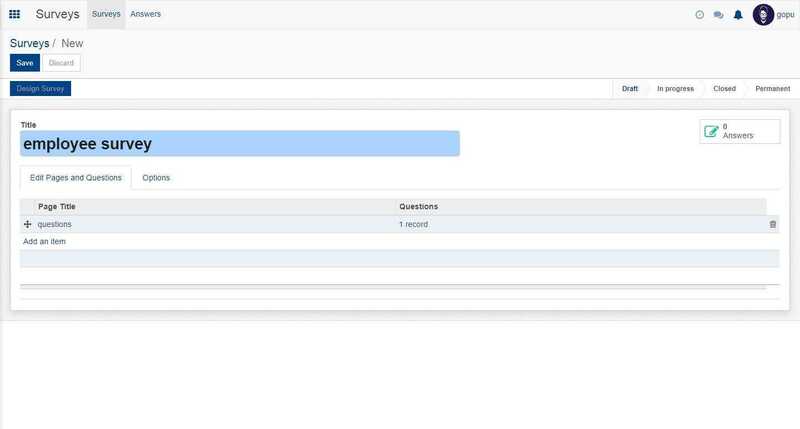 In the window that appear fill the page details, and then you can add questions in the creating page by clicking on add an item. Now a window like this will appear where you have to provide the page title. Now add questions using add an item option. Now give a question and save it. To create new question click on save and new. Now the question is added to the survey you are creating, you can add enough questions to your survey. Once done click on save and your survey will be saved. In the answers section we have the details about the survey conducted and their status. This is shown in the below screenshot. 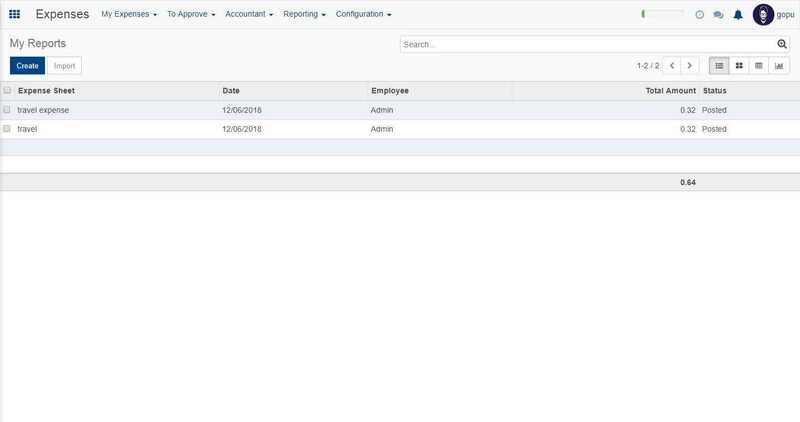 The Open HRMS timesheets gives details about the time spent by employees. It enables tracking of time spent by employee on a project or on a certain task or subtask. 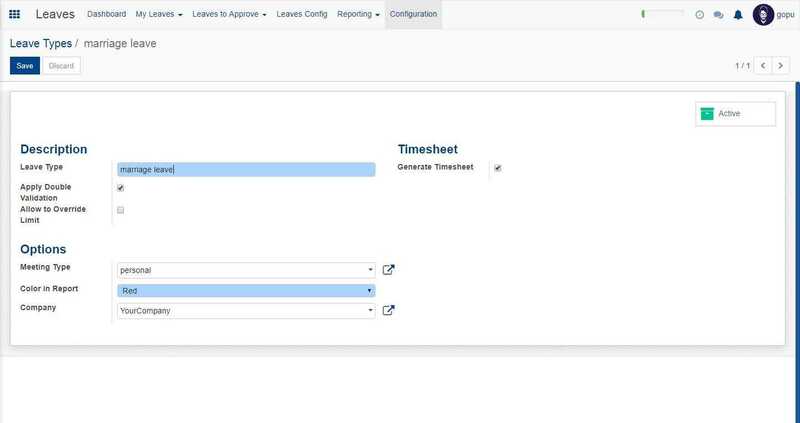 The timesheets is as shown in the above screenshot. We have options to view our time sheets as well as all time sheets. 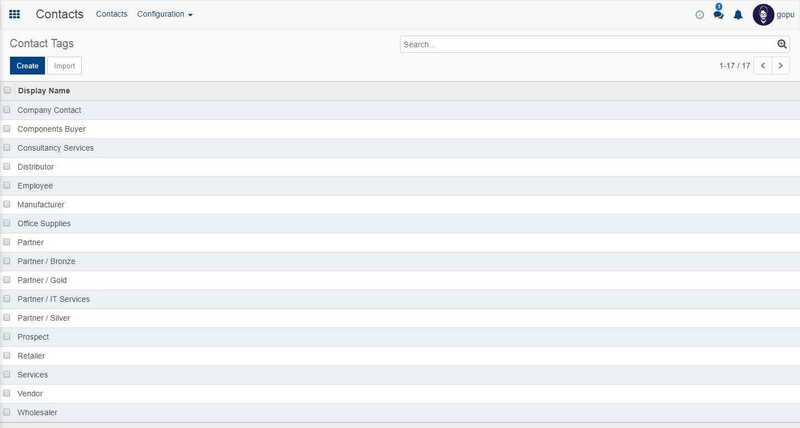 Here it is showing my time sheets view, where the time sheets for various projects are shown. Now in the window that appear, fill in the details as shown in the above screenshot and click on the save button. 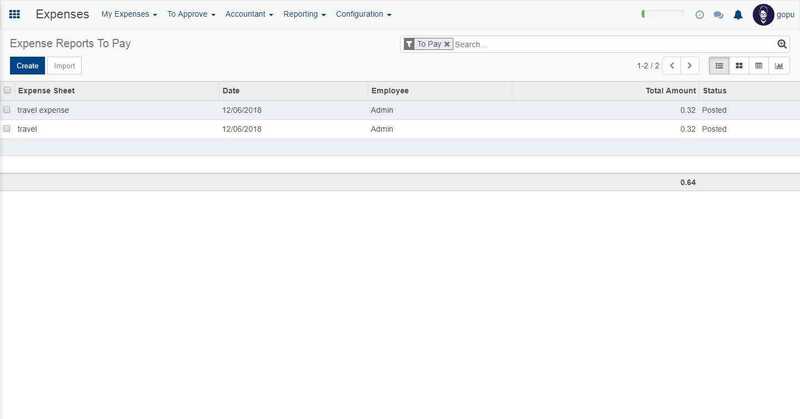 In the reporting part we have options like by employee, by task, by project and timesheet and attendance. The time sheet with respect to the employee will be shown here. The timesheet with respect to projects will be shown in here. 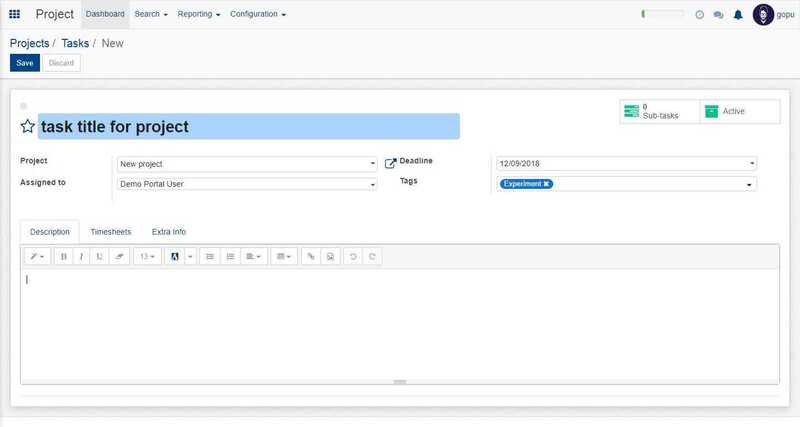 The timesheet with respect to tasks will be shown when we choose this reporting option. The report regarding employee’s timesheet and attendance will be shown here. 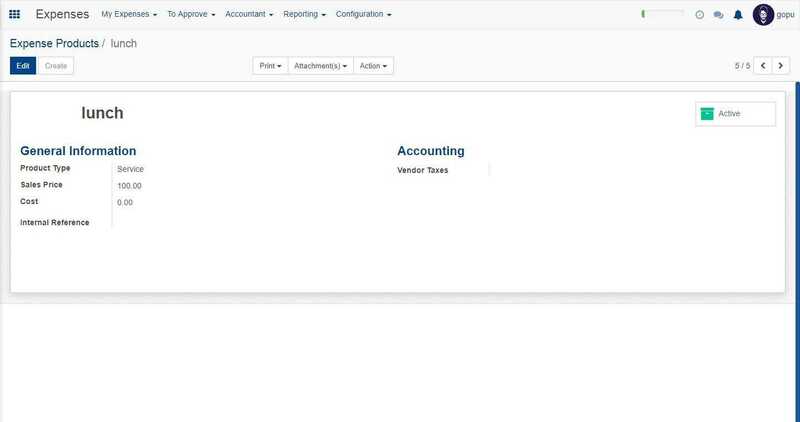 In the configuration part we have the option of time billing, which is used to sell services and invoice time spent. The Open HRMS transfer application deals with the transfer of the employees in to different branches. 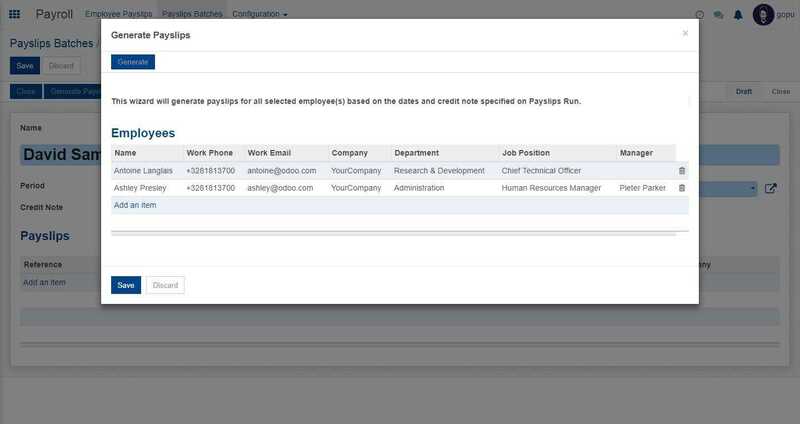 Now from the screenshot you can view about the various information associated with the transfer of employees. 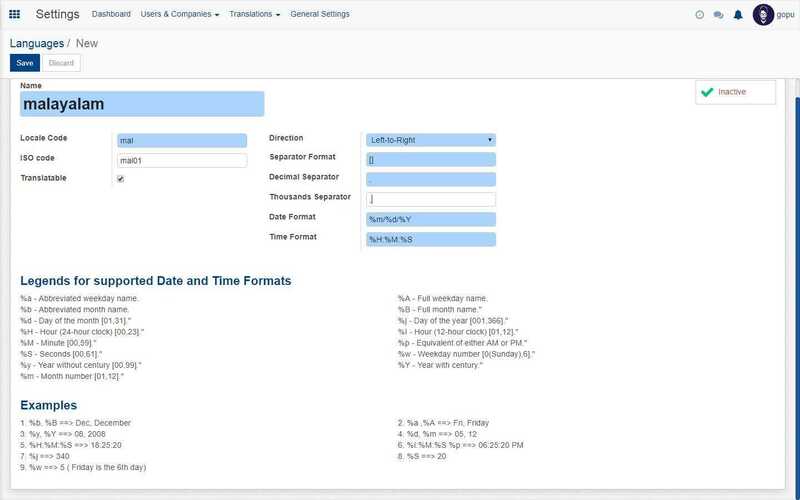 Employee name, date, branch to which he/she is transferred and the transfer status can be viewed from here. 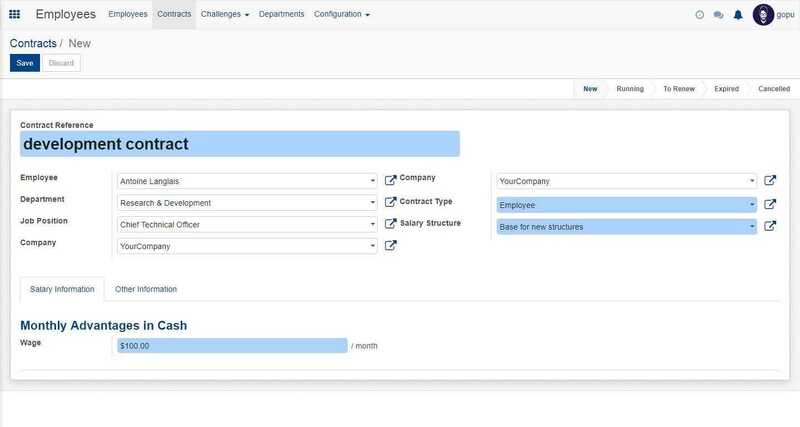 In this window give all the necessary details about the employee and then click on save button. The transfer is created. The Open HRMS website deals with your website, it provides various features which are available in the regular websites. 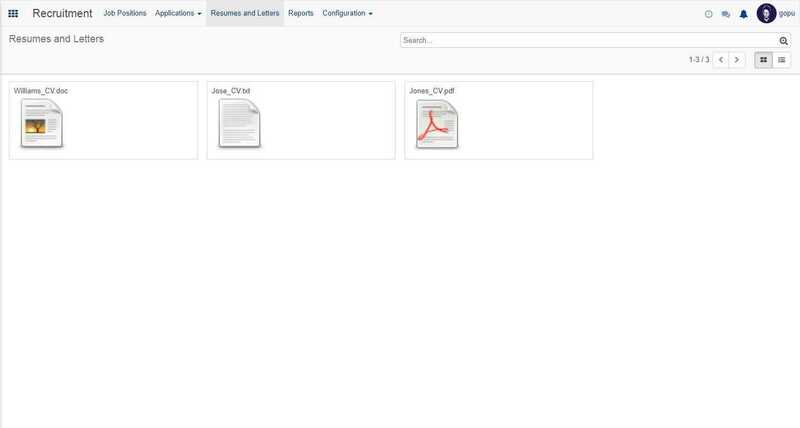 The dashboard of the Open HRMS website is as shown in the above screenshot. You have various options available from the dashboard. You can add various features to the website like contact form, e commerce, blogs, online jobs and online events. As you see in the screenshot, in the settings option we have got option to provide a name for our website. 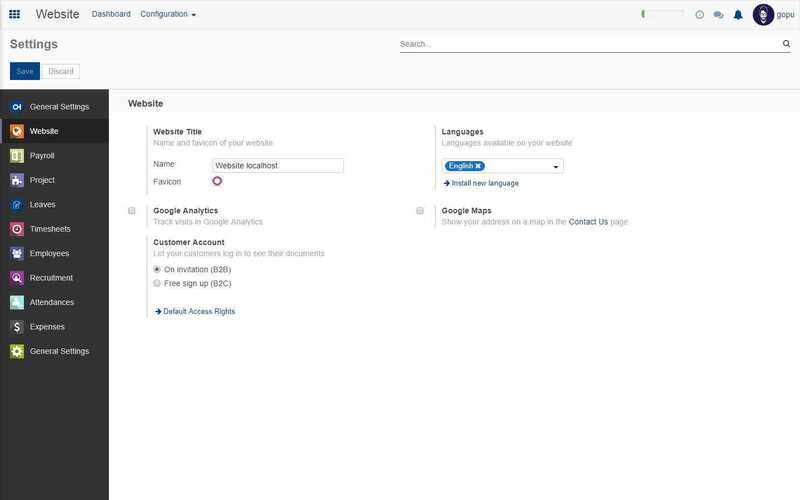 Now click on the google analytics option to turn on the google analytics. You can also activate the customer accounts. There is also an option to select language, in case you want to add a new language, click on install new language. Now to show your location you can click on the google maps option. 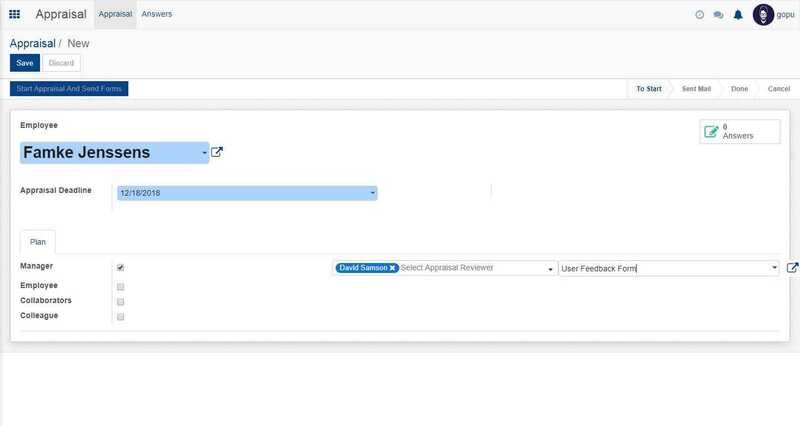 The various settings of the Open HRMS is done using the settings option. 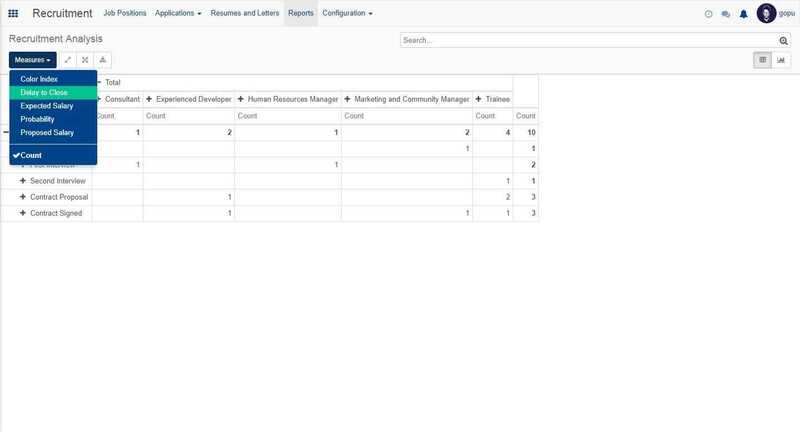 The dashboard of the Open HRMS is as shown in the below screenshot. The over view of the settings page is available from the dashboard. The persons and companies using the Open HRMS app can be assigned from here. In the user options we can view the current users who have access to the app, this is shown in the below screenshot. Once completed with everything click on the save button and the new user will be created. 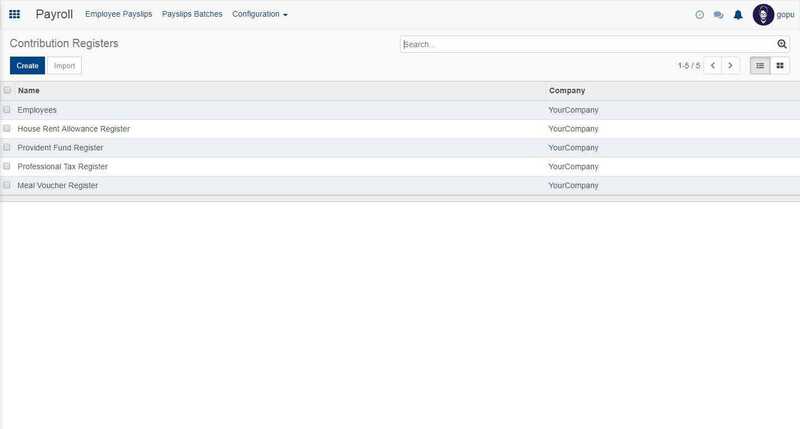 To create a new company click on the create button, in the window that appears fill in all the details regarding the company and click on save button. Once saved your company also will be added. 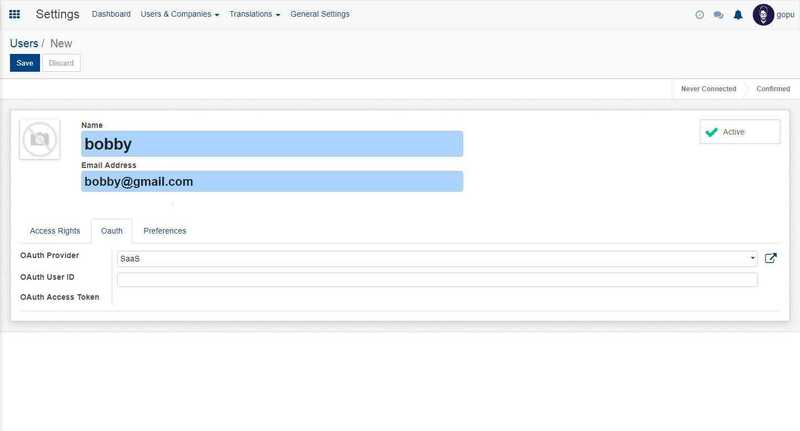 The translation part deals with various languages and their settings in Open HRMS, here we have two options, languages and load a translation. If we select the languages option we can see various languages which the translation supports. This is shown in the below screenshot. Fill in the necessary details and click save to save it. Here select a particular language and select the website to translate and click on load button. 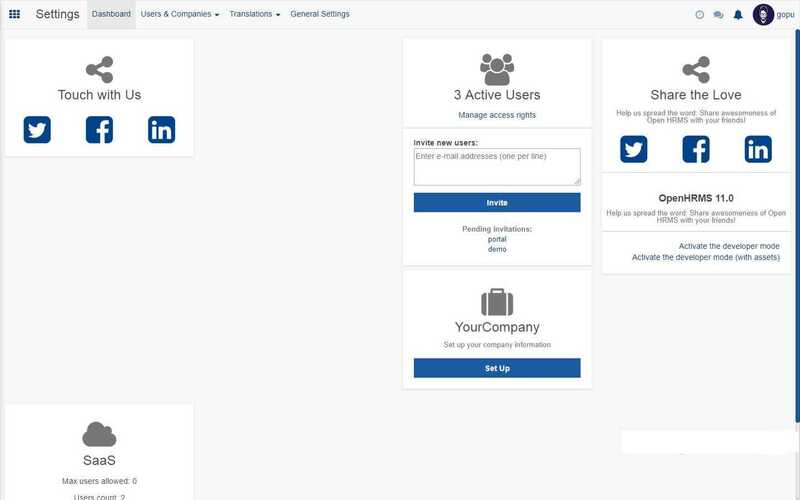 Here we have got various options under users, SaaS tools, multi-company and integrations. To activate this click on each options accordingly.